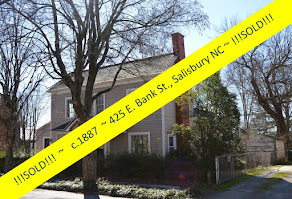 Please welcome guest author Dawn White,Vice President Mortgage Loan Officer at Bank of North Carolina in Salisbury, North Carolina, to RealEstateSalisbury.com. 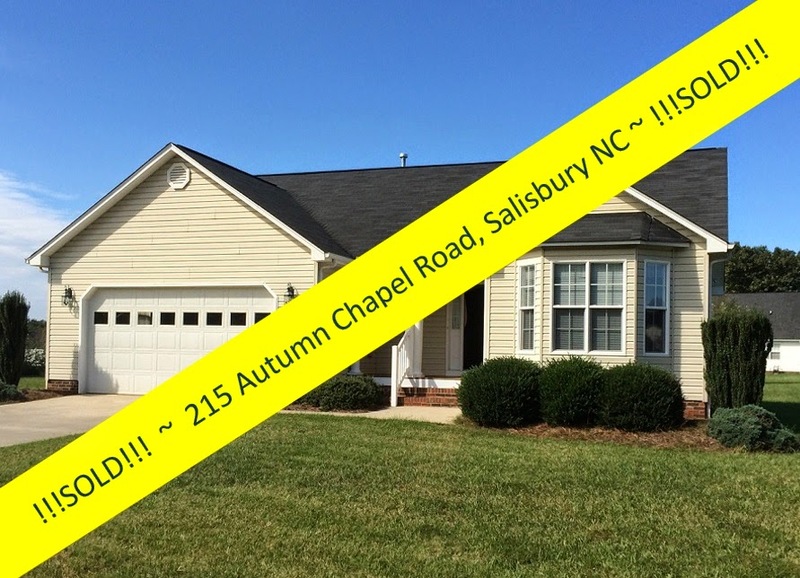 Dawn has news about a new program being offered by the North Carolina Housing Finance Agency (NCHFA)! Do you lack the down payment needed to buy a new home? The N.C. Home Advantage Mortgage program offers down payment assistance – and competitive interest rates – to give you the boost you need to buy your first home or move up to your next one. 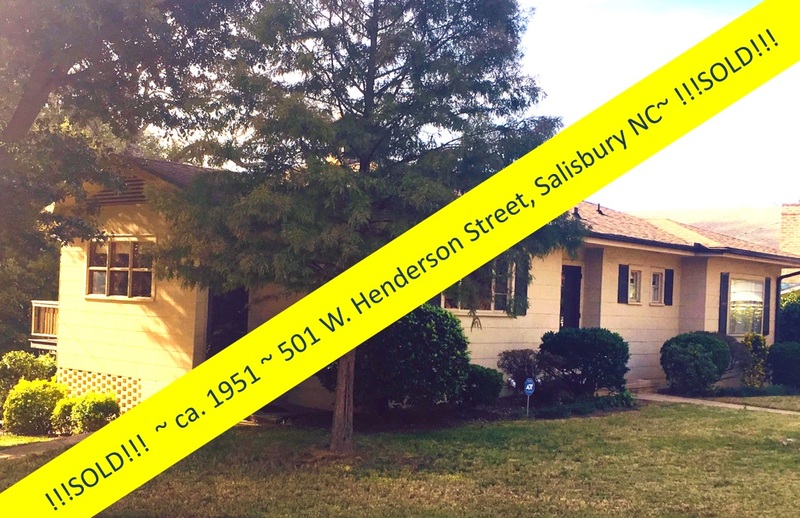 The new program available through the NCHFA offers down payment assistance of 3% so you can get maximum financing available. 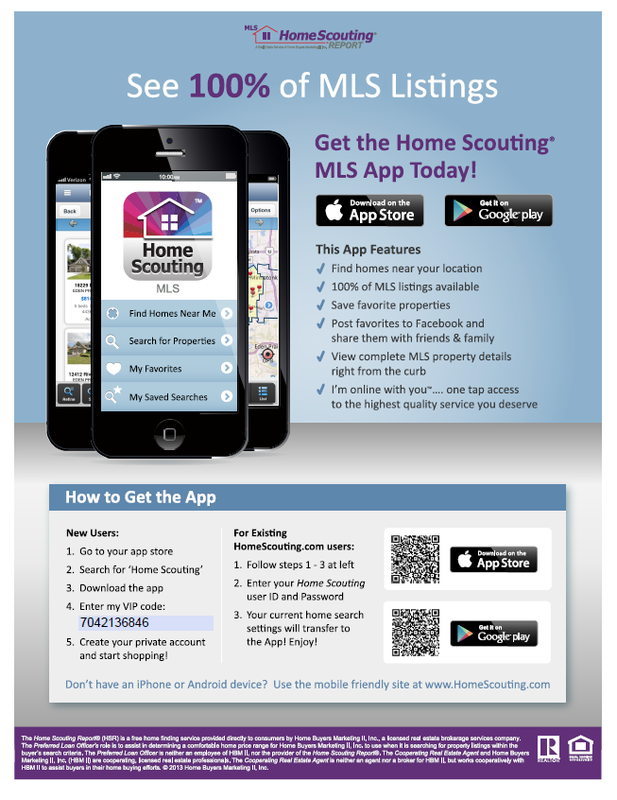 The program is no longer just available for first time homebuyers. 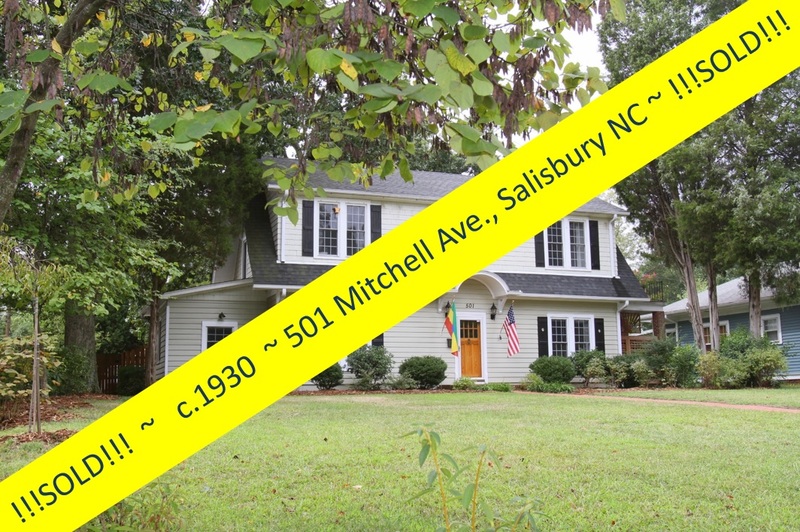 You can purchase a new or existing primary residence in North Carolina. 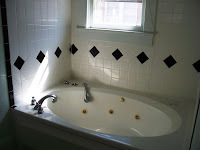 We do the program underwritten to VA, USDA or FHA guidelines. 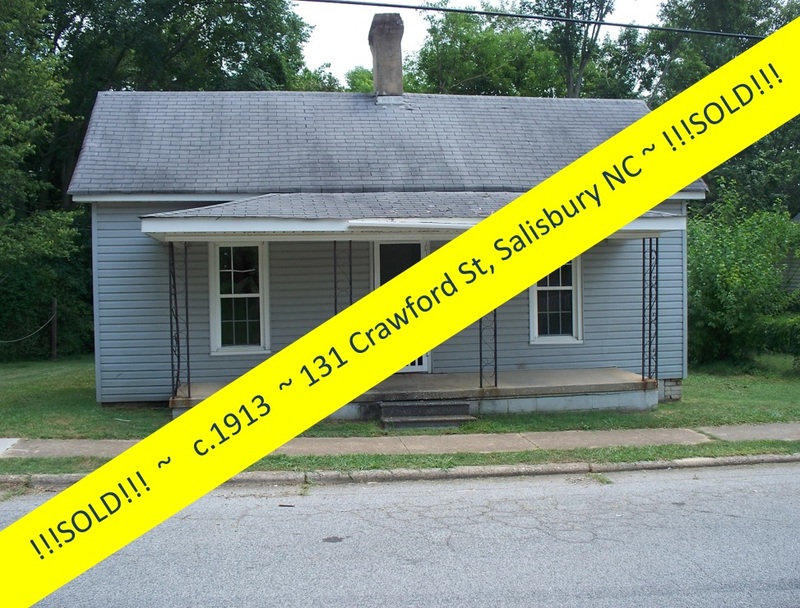 The 3% down payment assistance is a second lien and is provided as a 15 year deferred/ forgiven subordinate lien. The lien is deferred for 10 years and forgiven by 20% each year in the 11th-15th years. 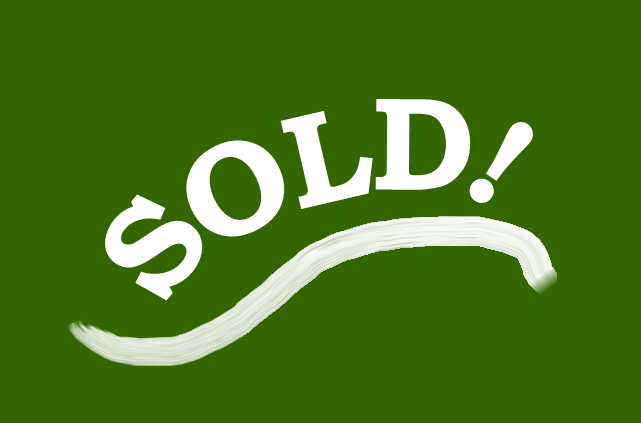 After 15 years the loan is totally forgiven. 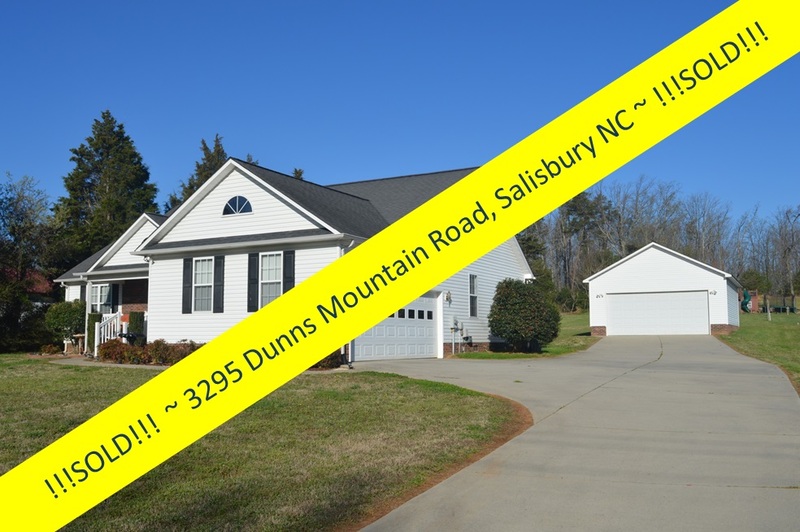 This is a great way to take advantage of your option to use maximum financing when available! 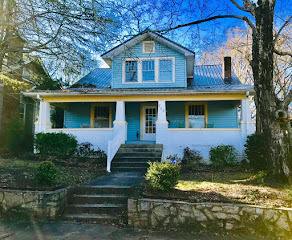 With 30-year, fixed rates, the N.C. Home Advantage Mortgage is a perfect match for buyers looking for safe, affordable financing. 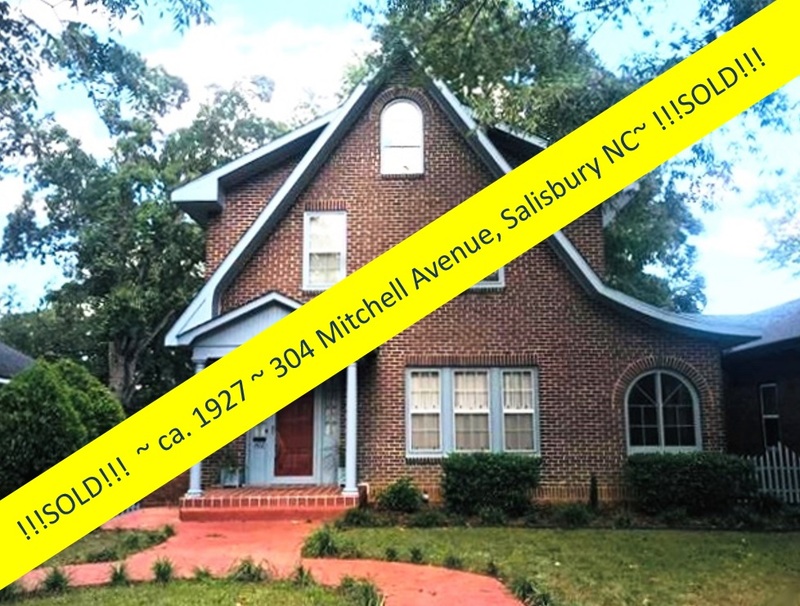 If you are a first-time homebuyer, you may also be eligible for a Mortgage Credit Certificate (MCC) worth up to $2,000 a year in tax savings. 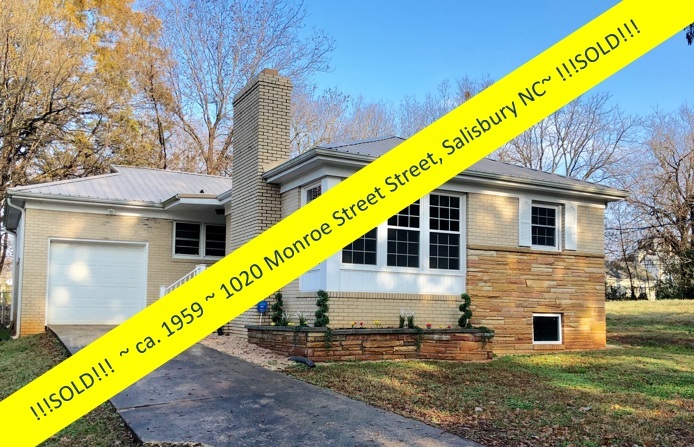 If you qualify, you can claim 30% of your mortgage interest – up to $2,000 per year – as a credit on your federal income taxes, while still claiming the remaining 70% of interest as a deduction. 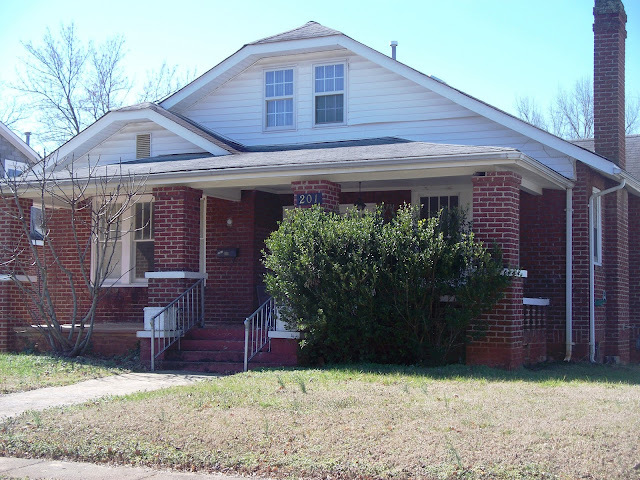 You can receive an immediate benefit from your MCC tax credit by filing a revised W-4 with your employer to increase your take-home pay and help make your house payments more affordable. NCHFA homebuyer assistance is available statewide through participating lenders. 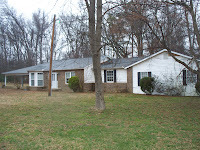 To find a lender near you, go to the Home Buyer section at www.nchfa.com or call 1-800-393-0988. 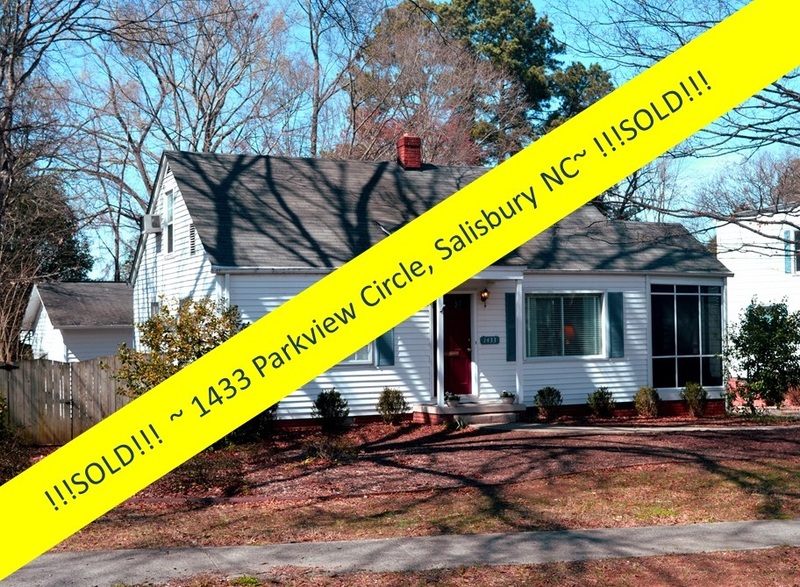 Thank you, Dawn! 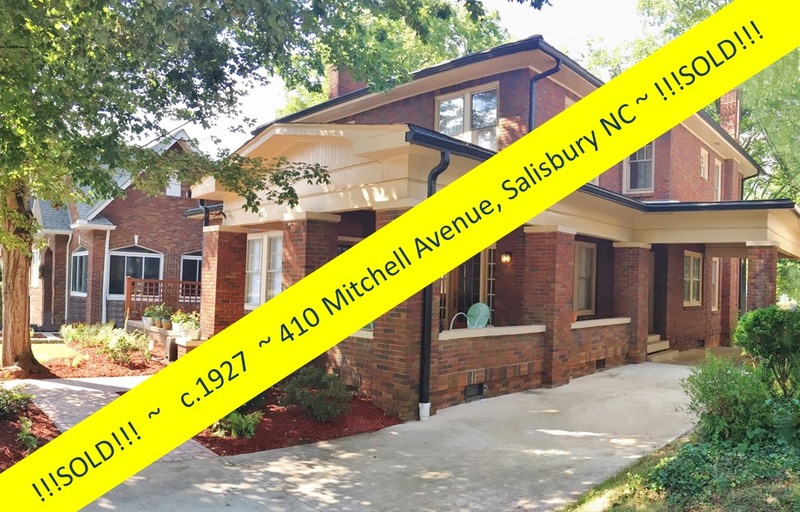 Remember to call Salisbury Real Estate Agent Greg Rapp at 704.213.6846 to see the variety of homes that are available for you to use the NCHFA homebuyer assistance! 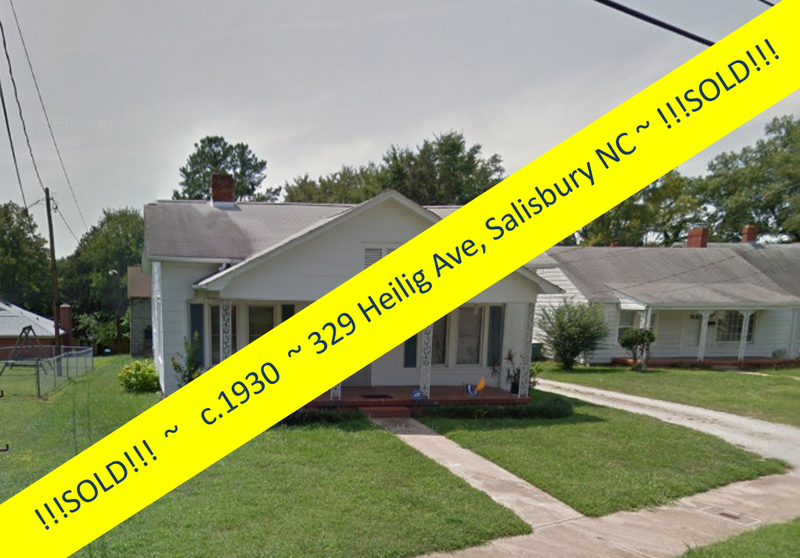 See you soon! 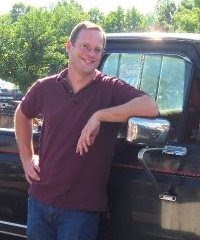 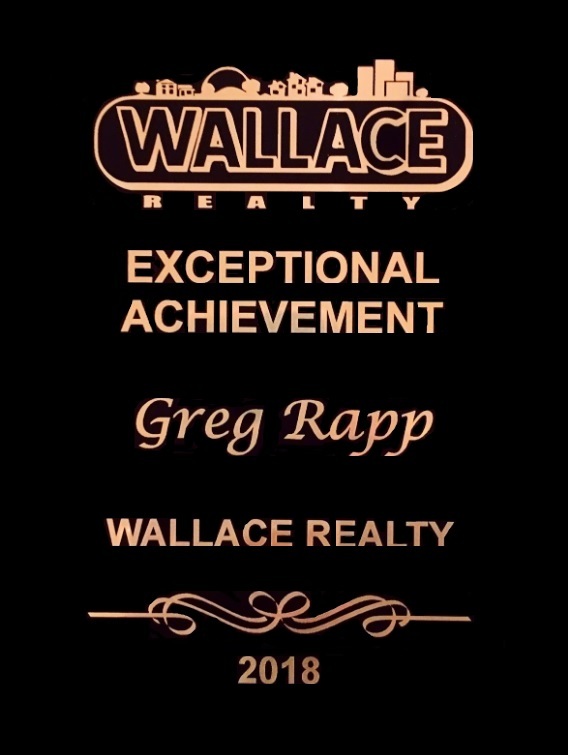 Greg Rapp has been acknowledged as the local leader in online real estate marketing. 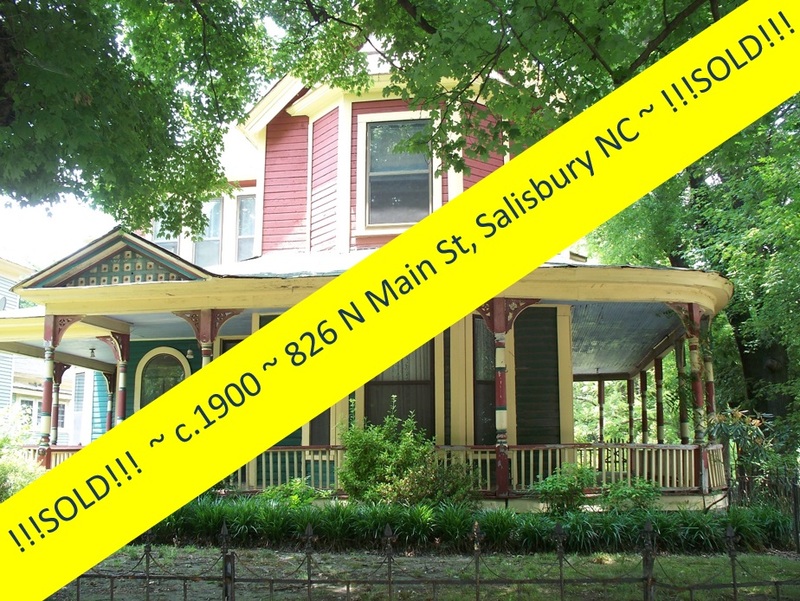 When a local neighborhood association met to explore how they could promote houses in the area and open this resource to all Salisbury communities, they contacted Rowan County Realtor Greg Rapp for advise in how best to roll out such a web-based approach to marketing houses.
. . . [we are] considering how we might advertise all listings that are on the market for sale or rent in the neighborhood. 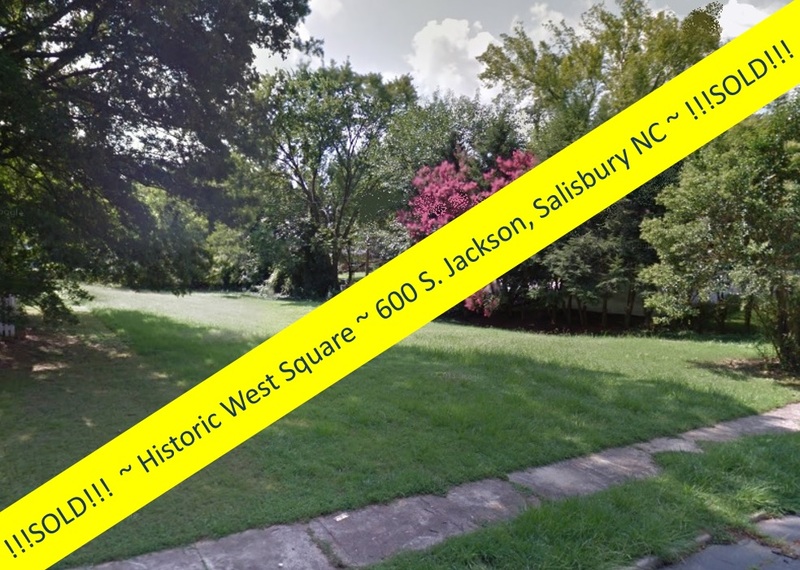 The idea a subcommittee is exploring is listing this information on [a] site the neighborhood uses for internal communication as well as newsletters and other information. 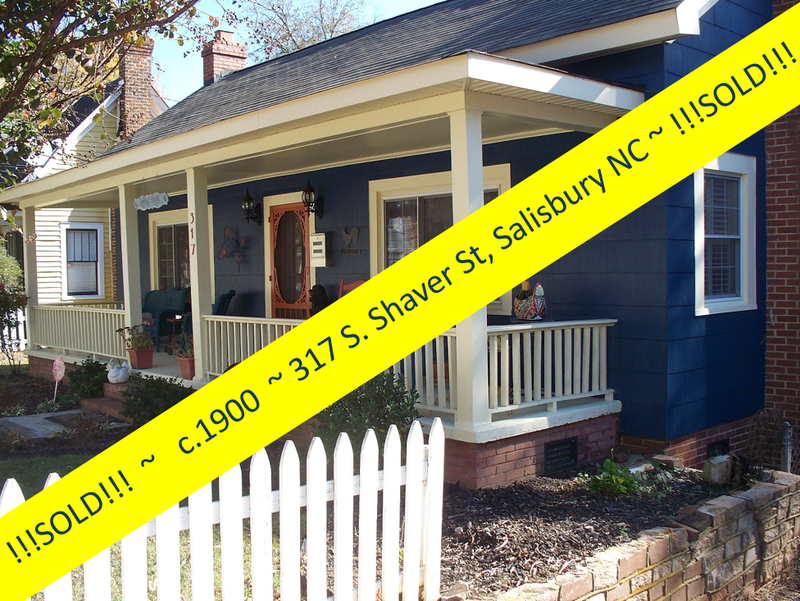 If this model works for our neighborhood we could roll it out in others to use as a tool to promote...homes. 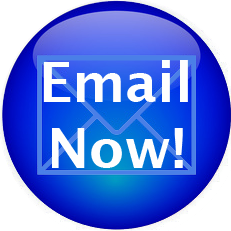 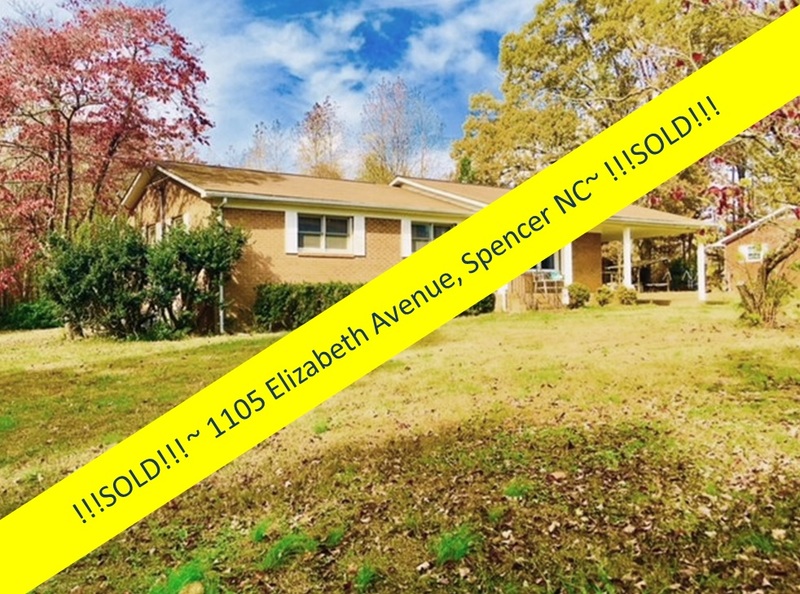 Since you have been involved with other efforts, and in my opinion are the local leader in online real estate marketing, your input would be appreciated and recognized!" 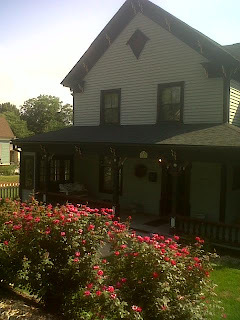 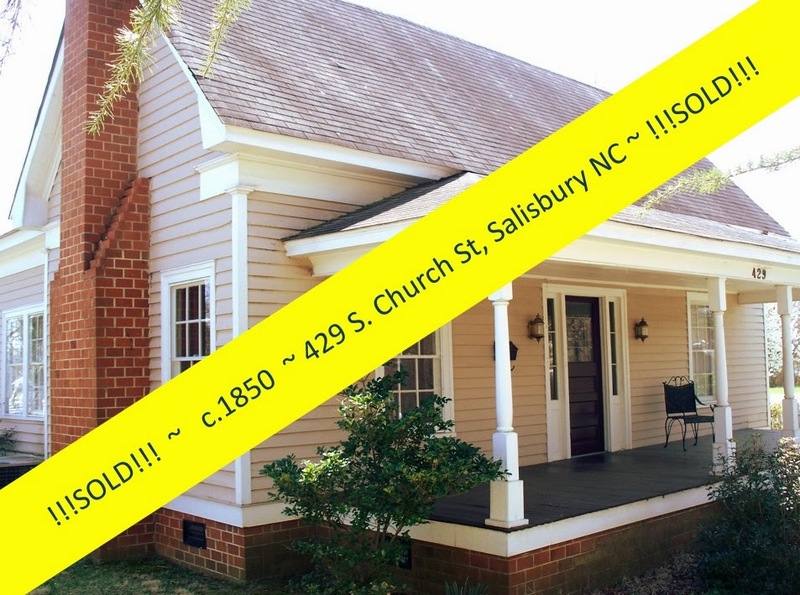 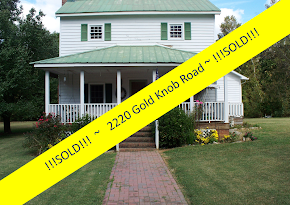 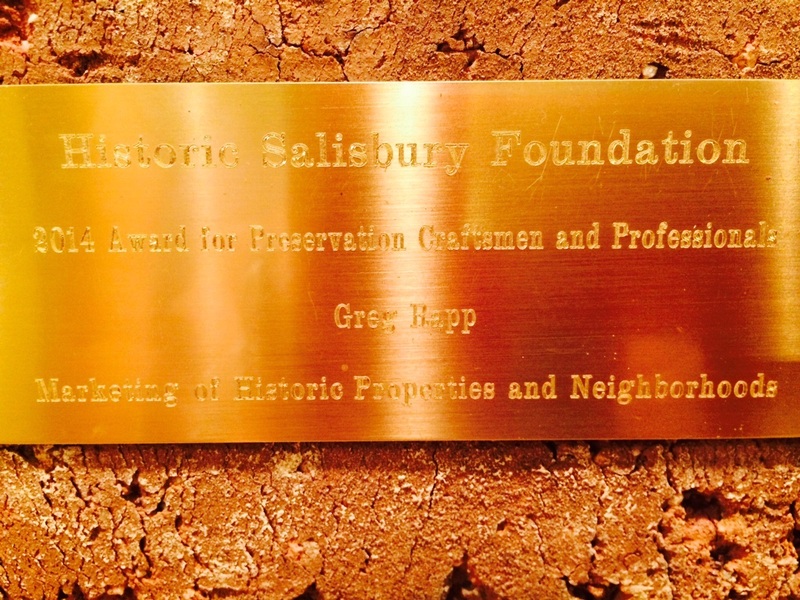 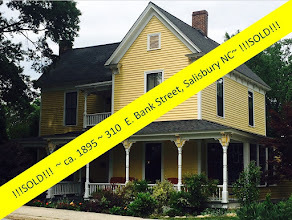 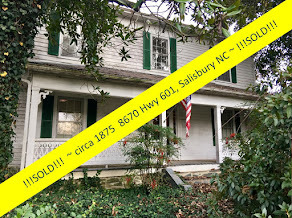 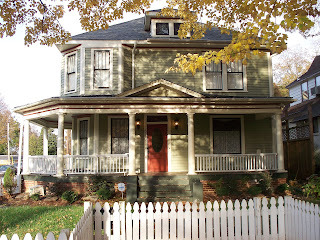 As a member of the Board of Directors of the Historic Salisbury Foundation, Barbara Sorrel, recently observed, Greg is more connected to the online community than any real estate agent in the area, consistently reaching out to both buyers and sellers with up-to-date community information, updates, and human interest articles, combined with thorough information regarding properties available or opportunities to sell. 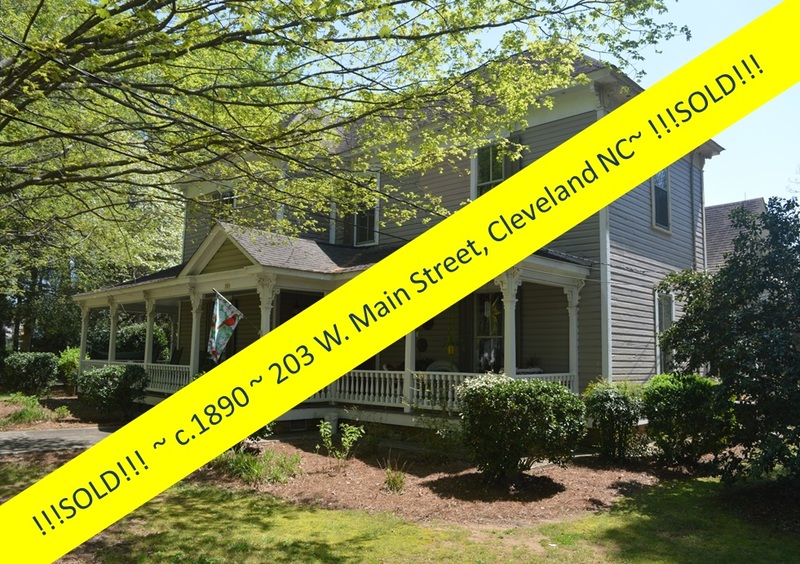 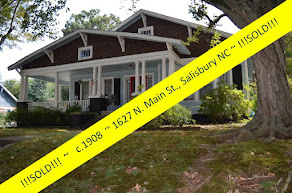 If you would like your property to be connected ~ contact Greg Rapp at 704.213.6846 and get it listed and marketed to a broader audience. 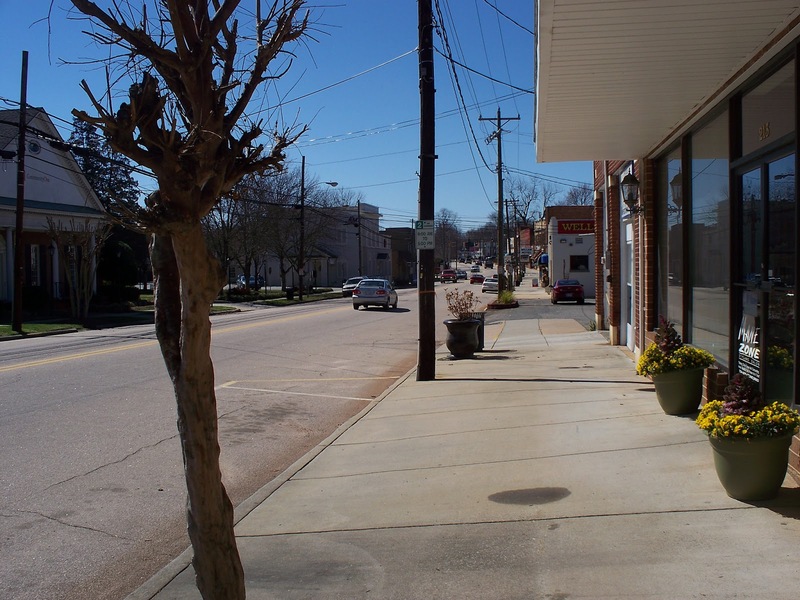 Buying a home or business location? 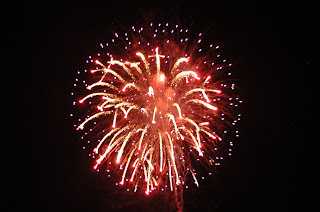 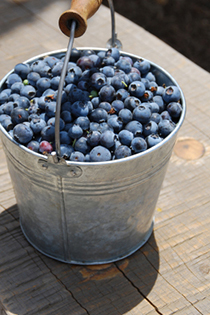 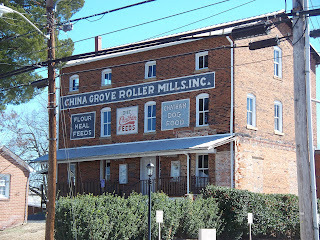 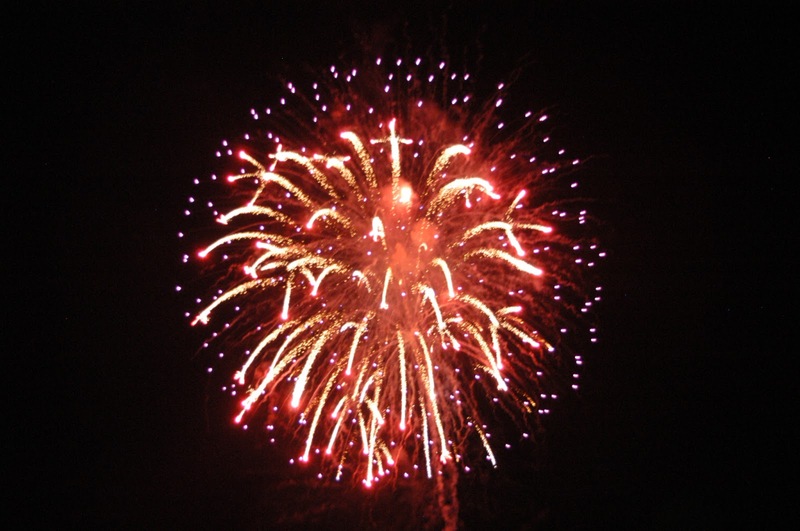 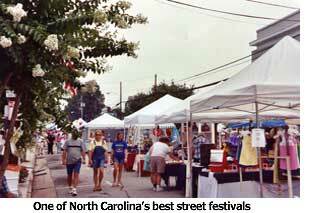 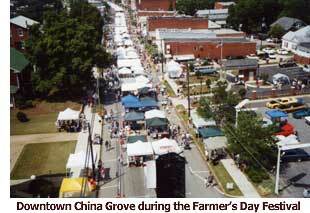 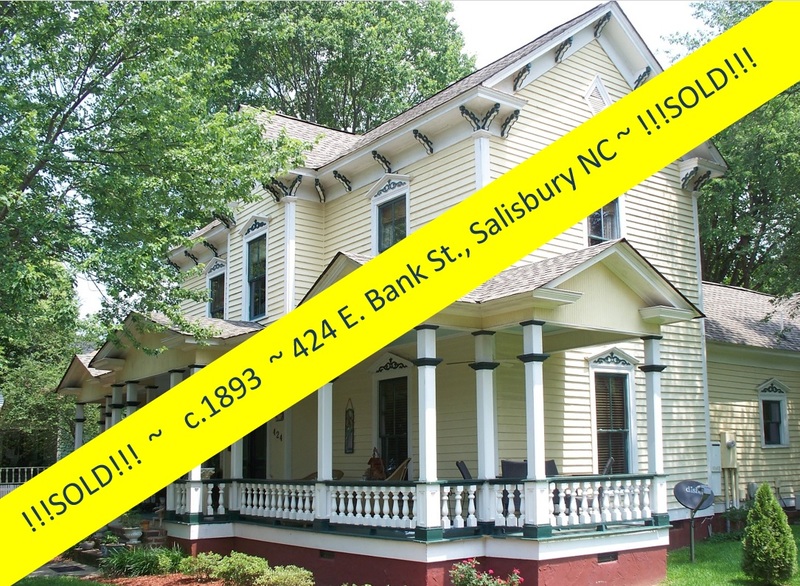 Then get up with Greg to see the many and varied offerings in the Salisbury/Rowan County area! 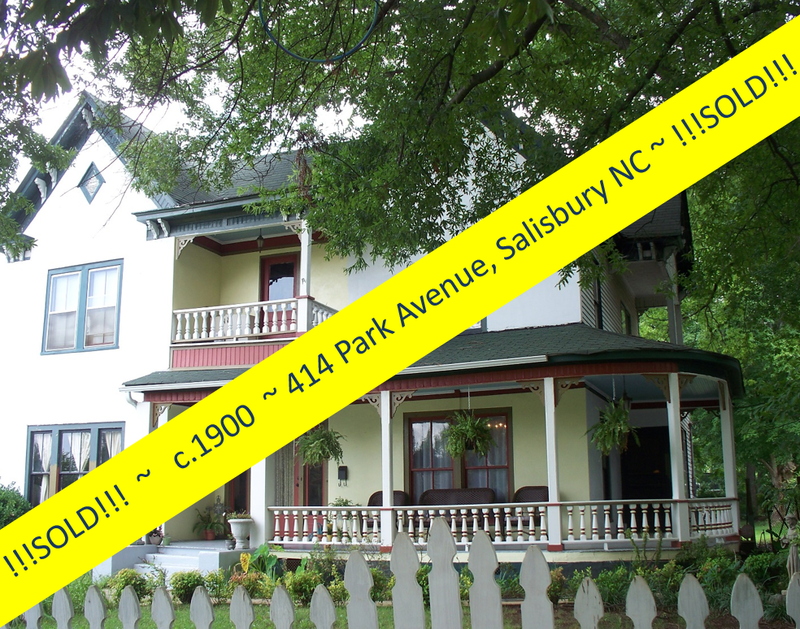 We sure don't want to sell this wonderful property short, but we can't exaggerate its features, either, so . 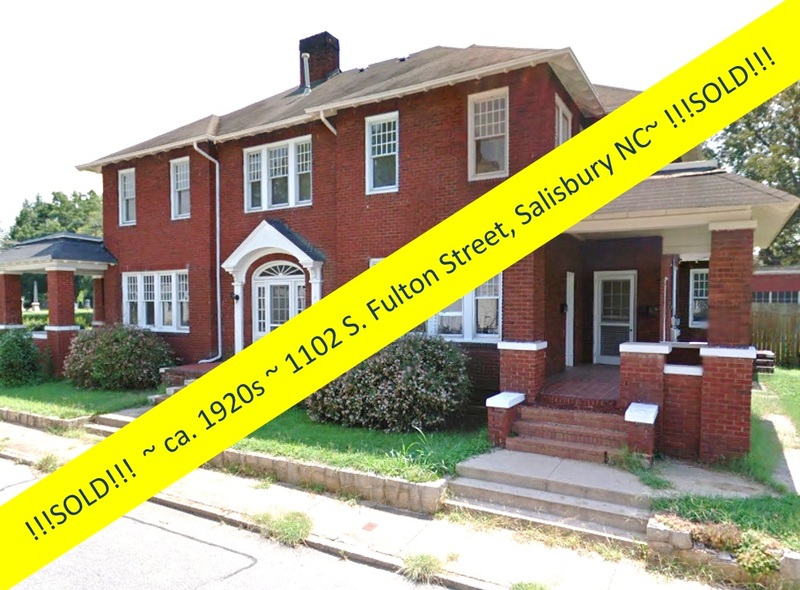 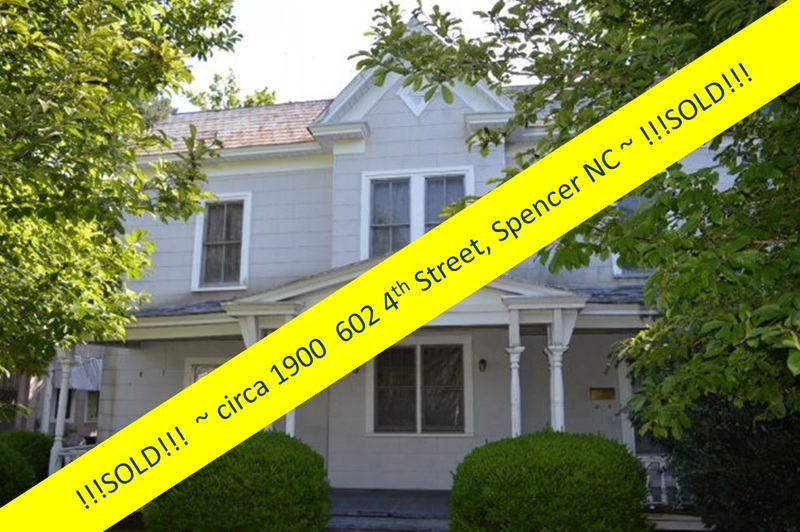 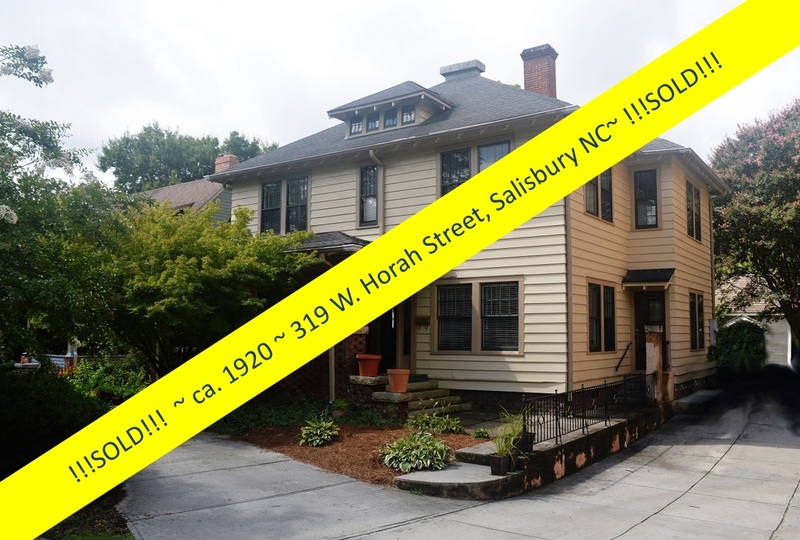 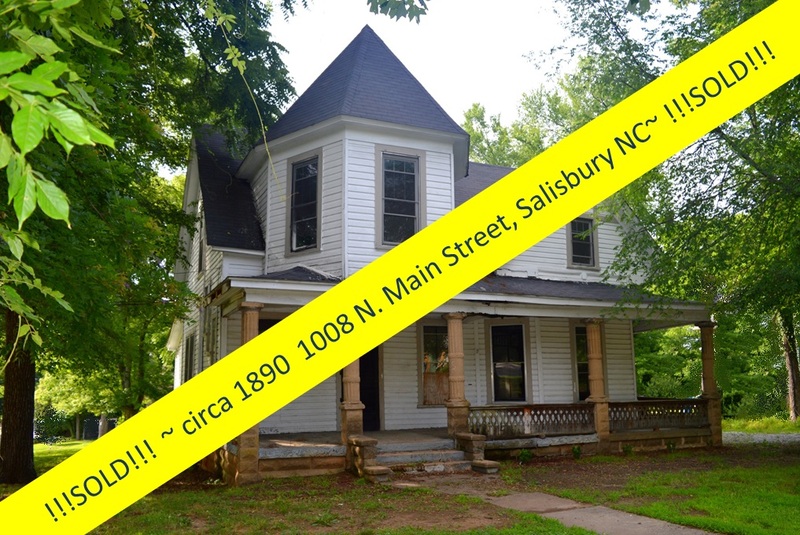 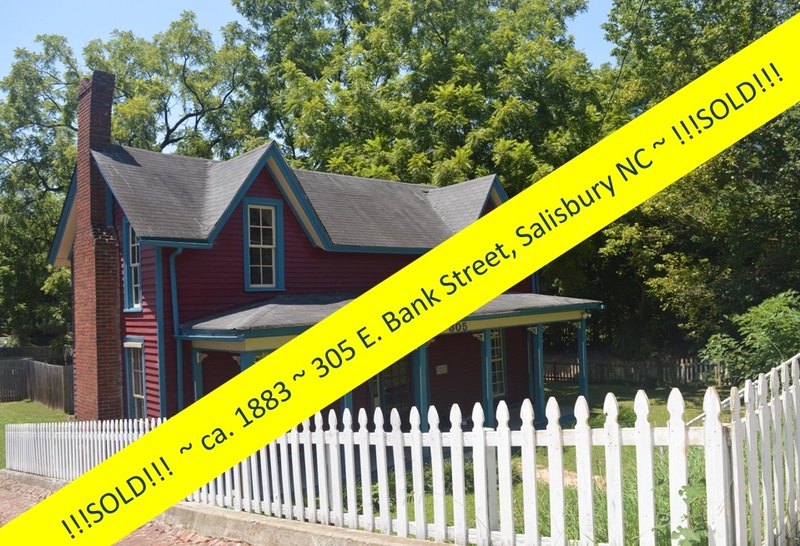 . . as we said back on February 27th in WANTED: Vision, Ambition, & Elbow Grease (CLICK HERE) the buildings on the 2-acre space at 1401 Long Street in Salisbury North Carolina needs some work to be restored to its full potential as either a business, a home, or both! 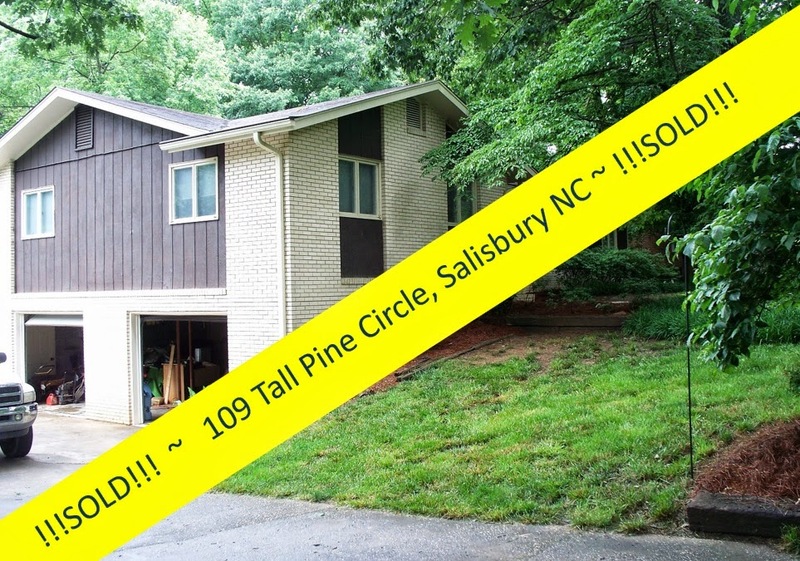 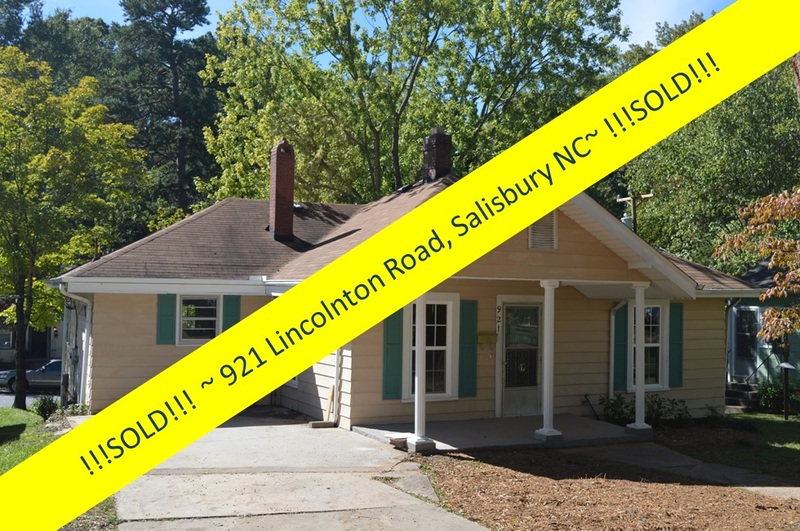 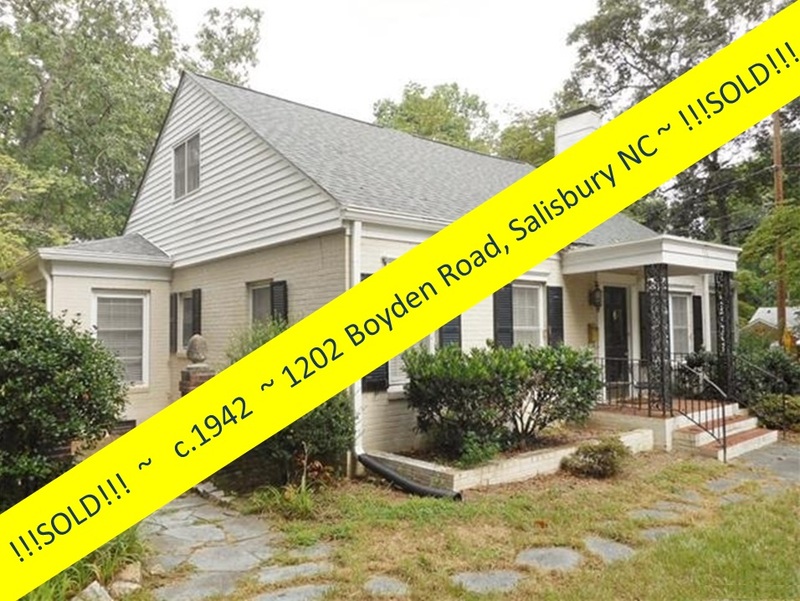 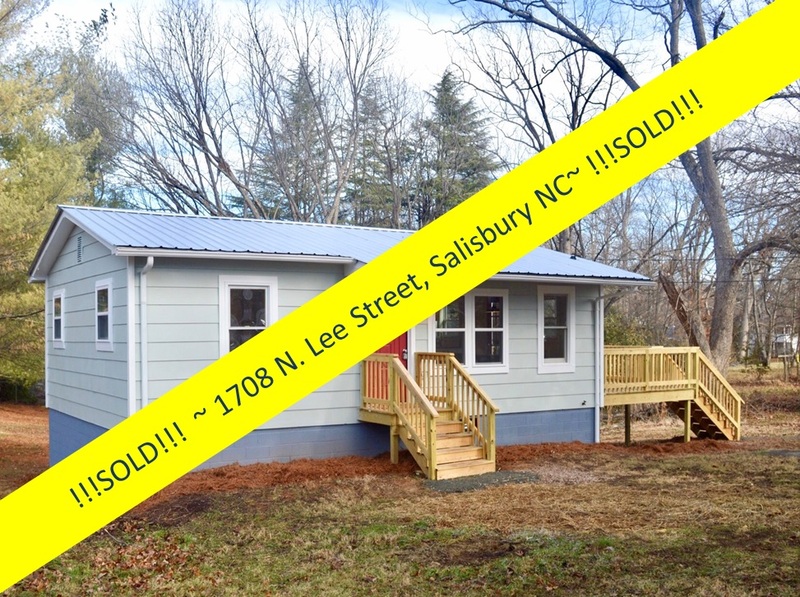 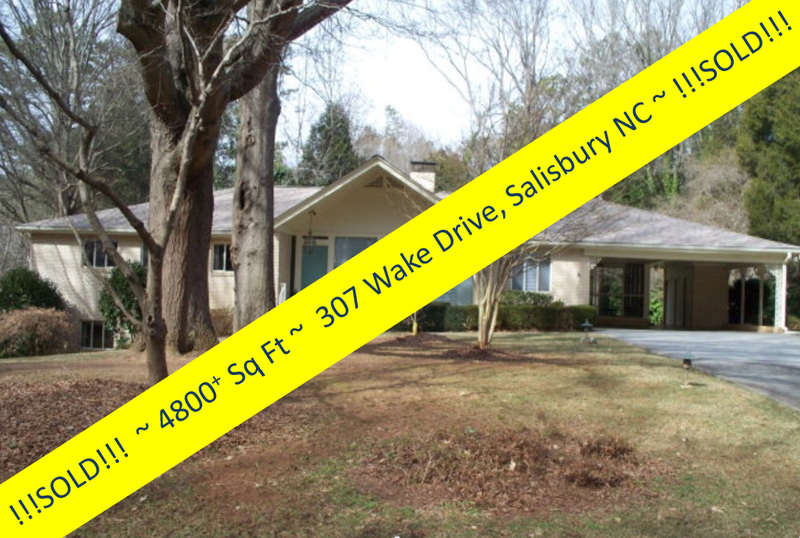 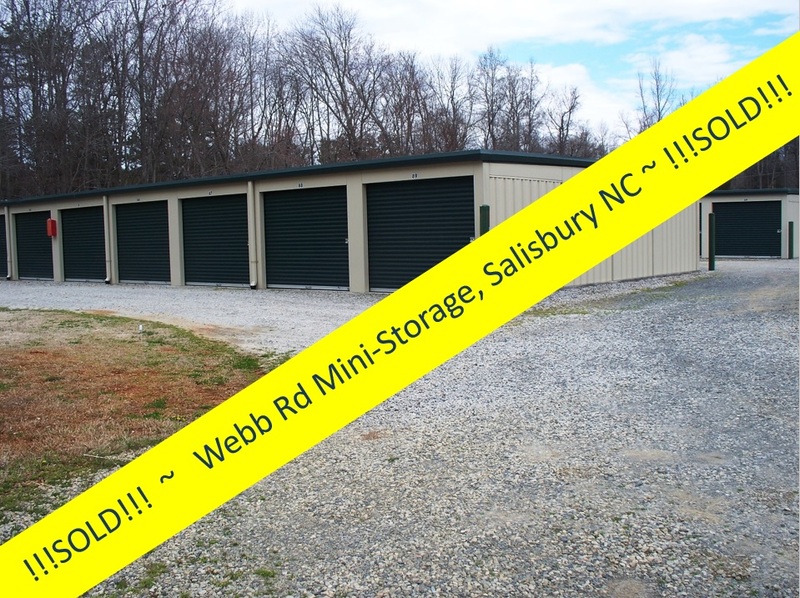 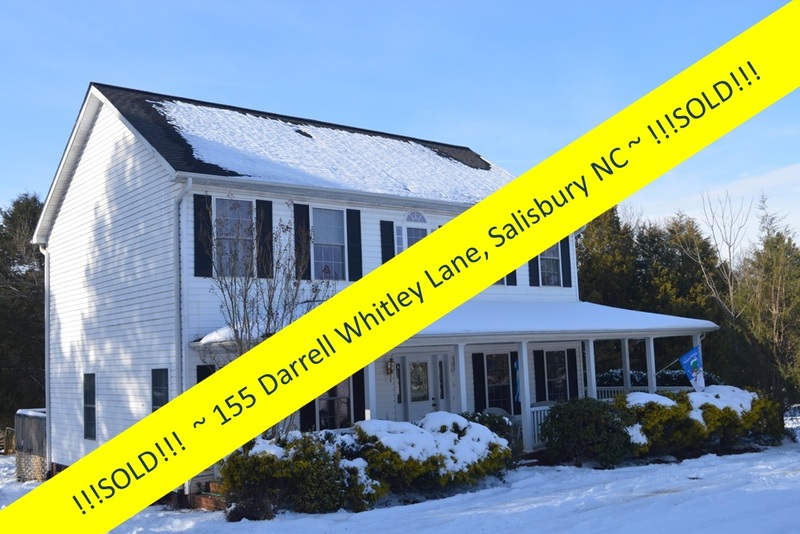 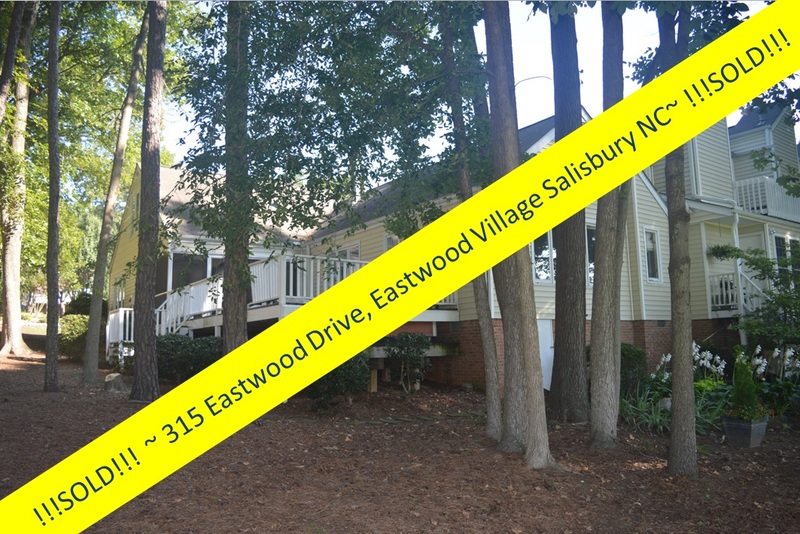 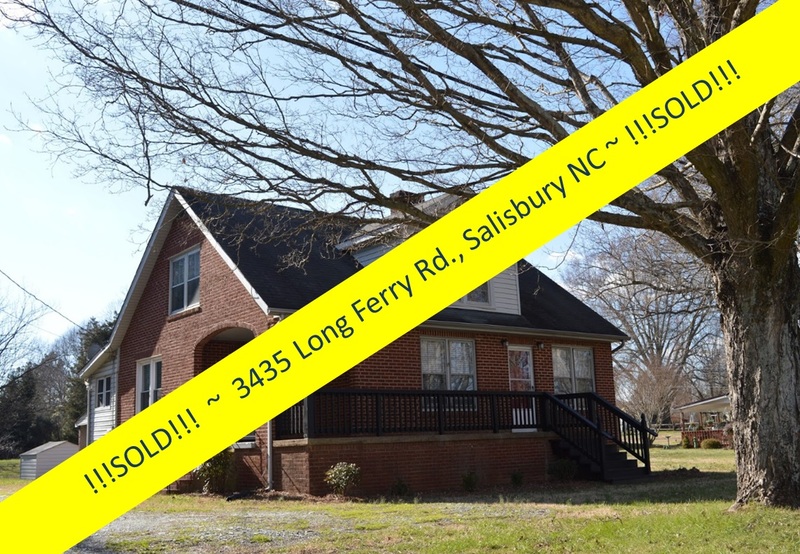 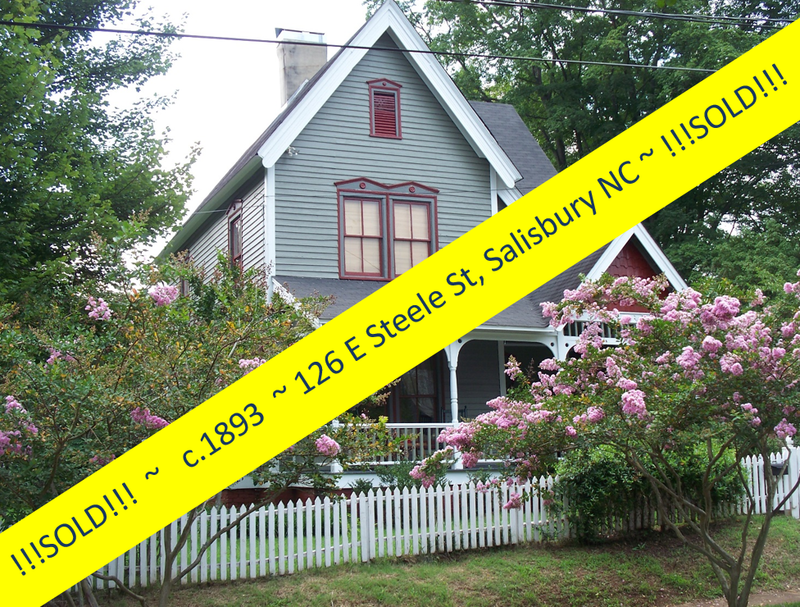 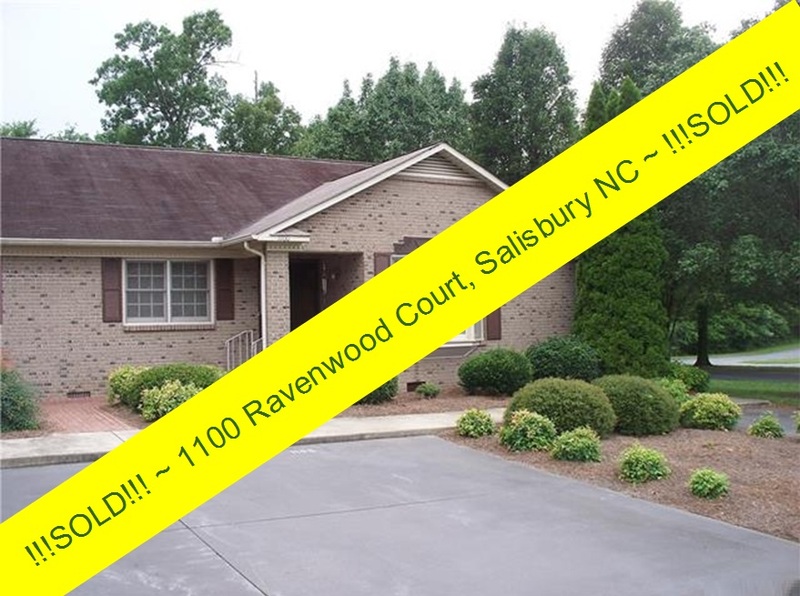 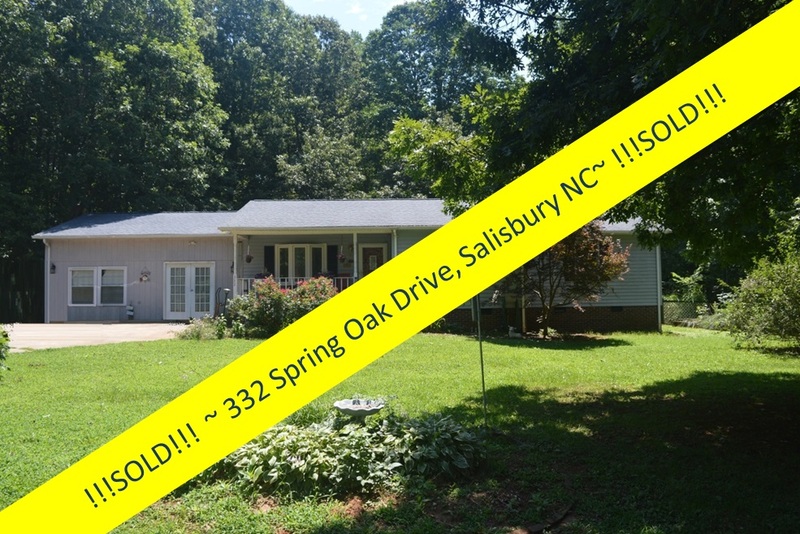 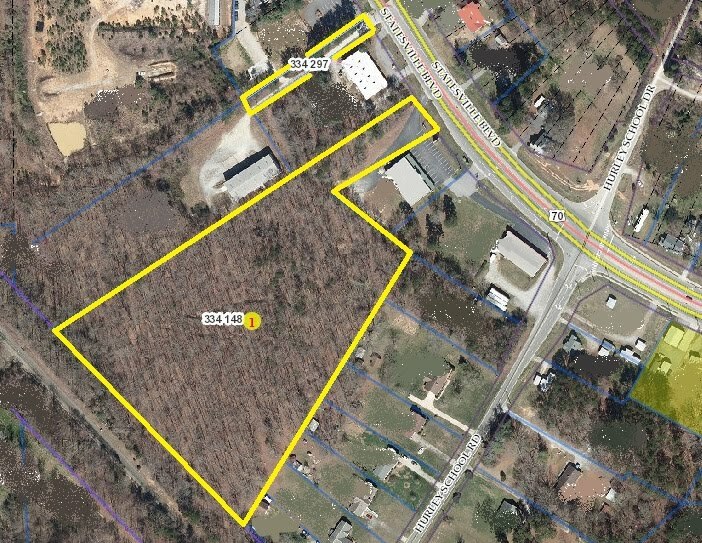 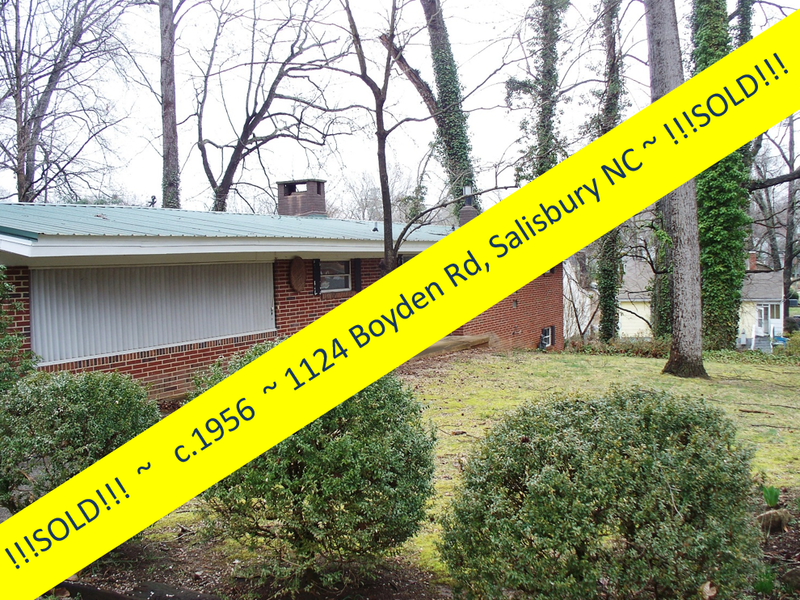 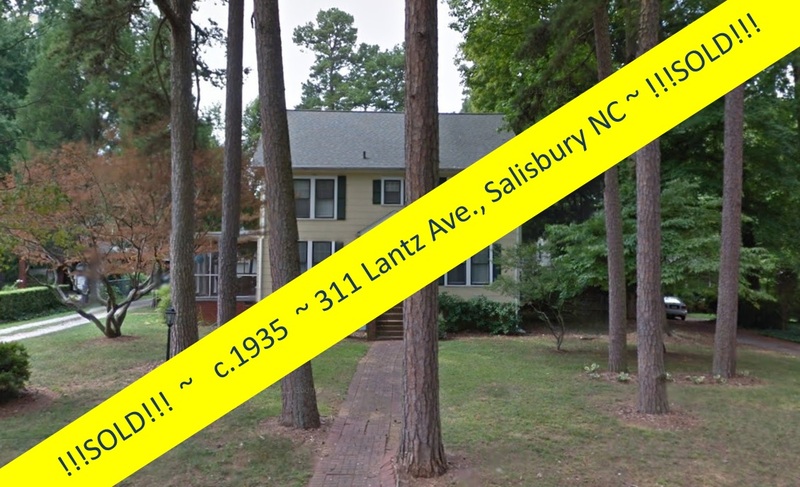 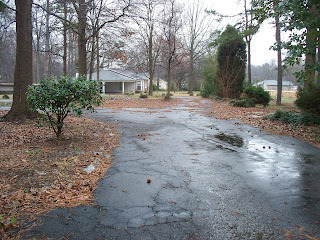 Take a look ~ the lot is very spacious ~ just over 2 acres on a well traveled corridor in Salisbury. 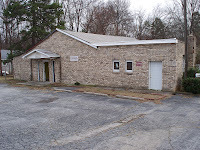 The shop building or small warehouse, formerly the home of Ellis Contracting, sits to the front of the property. This 3100 square-foot building has endless possibilities. 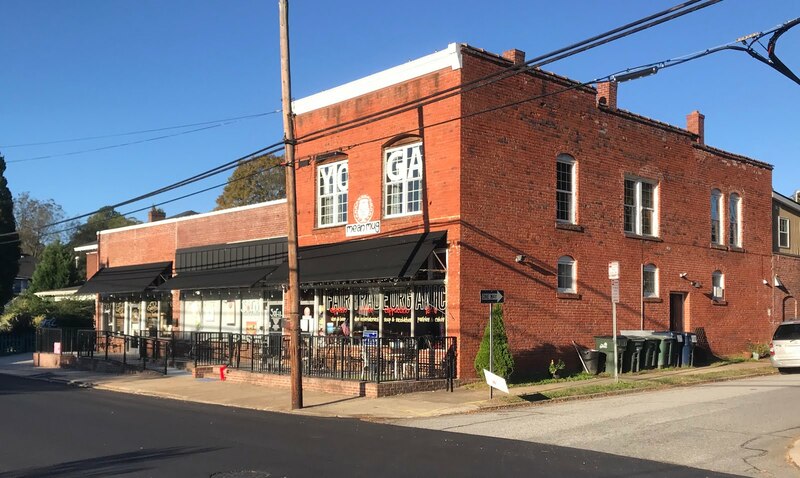 Prospective buyers have pictured a bar, a garage, boat storage, and artists collective, and a microbrewery. 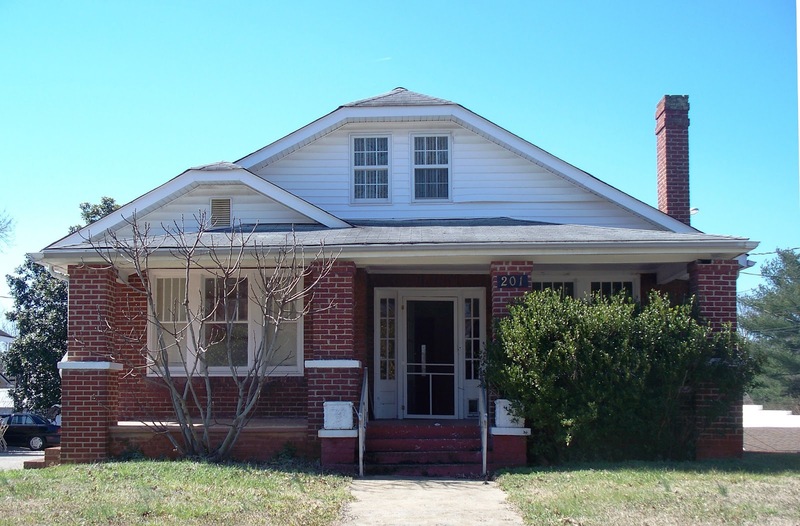 Despite the need for repair and upfitting to this 1952 building, the potential hits you as soon as you step into the building. 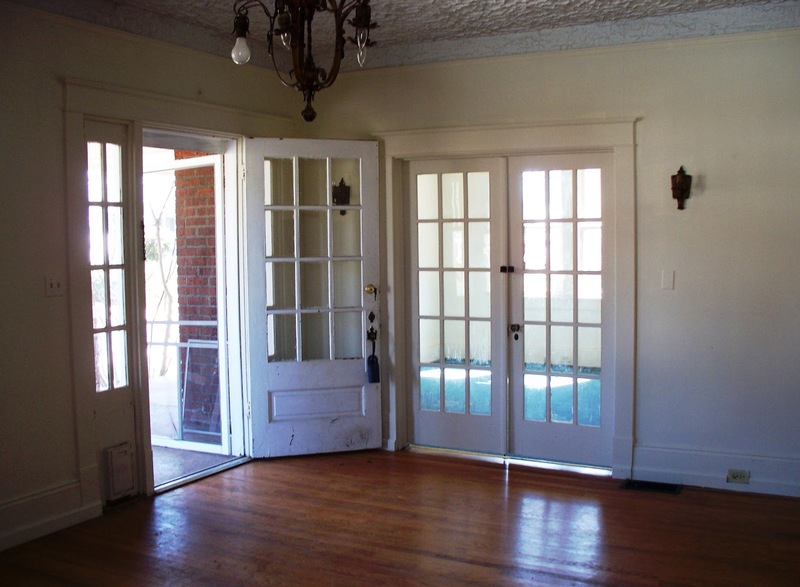 When you walk into the building, a step down through a small foyer brings you into a large open space that has a stage or raised-floor area at the back wall. Multiple rooms are off to the right ~ a kitchen space with a pass-through to the main hall, room for a small office, and PLENTY of storage space! 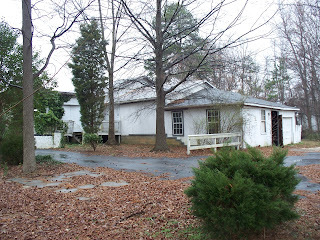 There are additions to the rear of the building that also present endless possibilities for use, and a long, wide, porch stretches along the north side of the building. 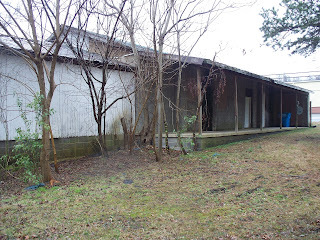 The shop/warehouse building appears structurally sound but is in obvious need of repair. 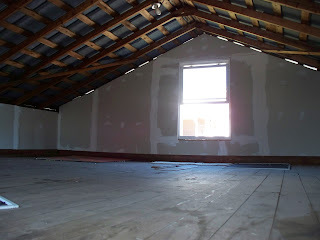 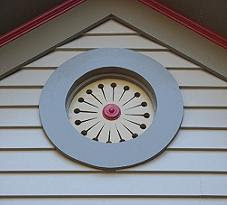 The roof leaks, so it needs repair or replacement, and leaks have damaged some interior space. 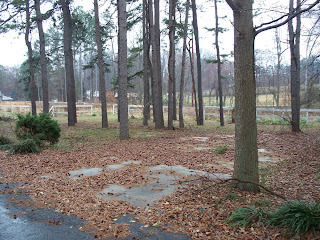 Walking through what was once a gated drive to the rest of the property and you're in a very rural setting . . . large expanses of grass, a fenced pasture, and even a small horse barn. 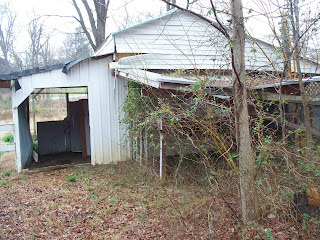 The horse barn still has its stables intact and has fenced area that was once used for raising chickens. 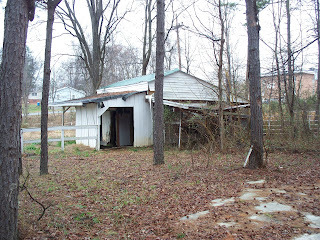 The structure needs stabilizing, as does each structure on the property, but is not beyond repair! To the rear of this expanse of property is the once-grand home. 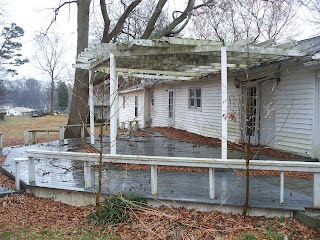 The 2500 square foot structure is in very bad condition with floors falling through. 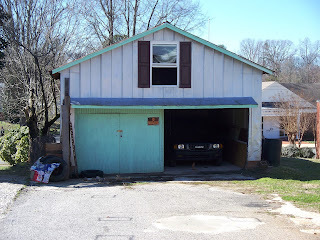 It may be beyond saving . 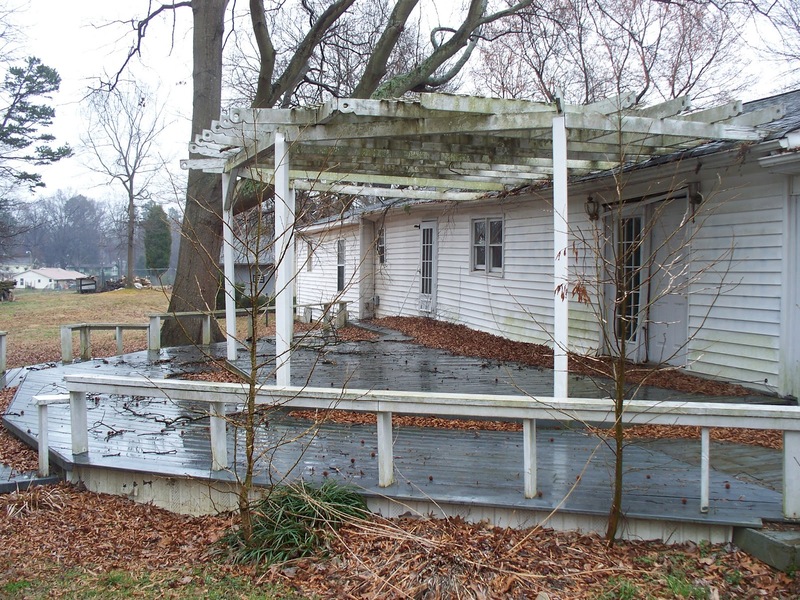 . . or someone with a good deal of structural knowledge and expertise may be able to resurrect it. The home has a large, once fashionable, deck and pergola area that leads to a small pond. 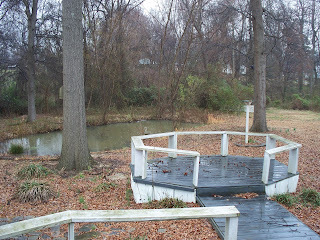 One can clearly see that this was once a peaceful retreat from the busy world. 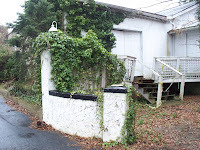 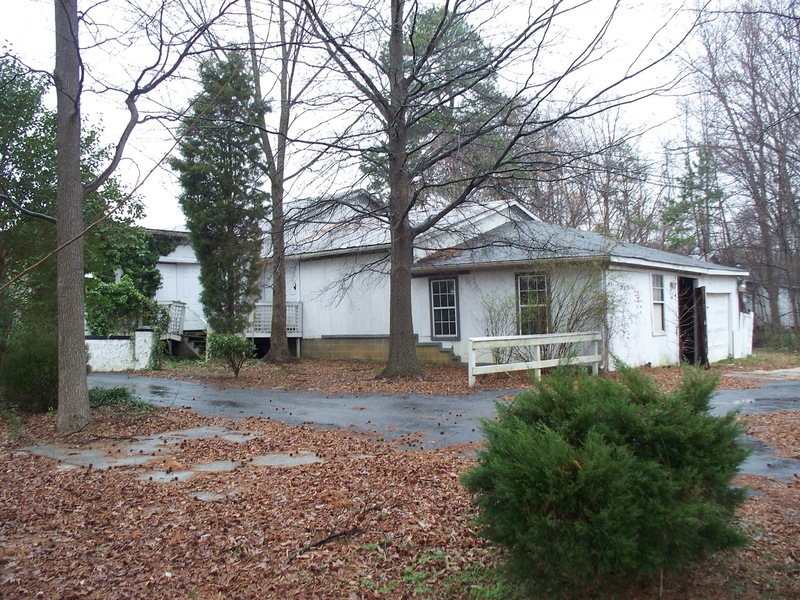 The house is situated approximately 300 feet from the road. 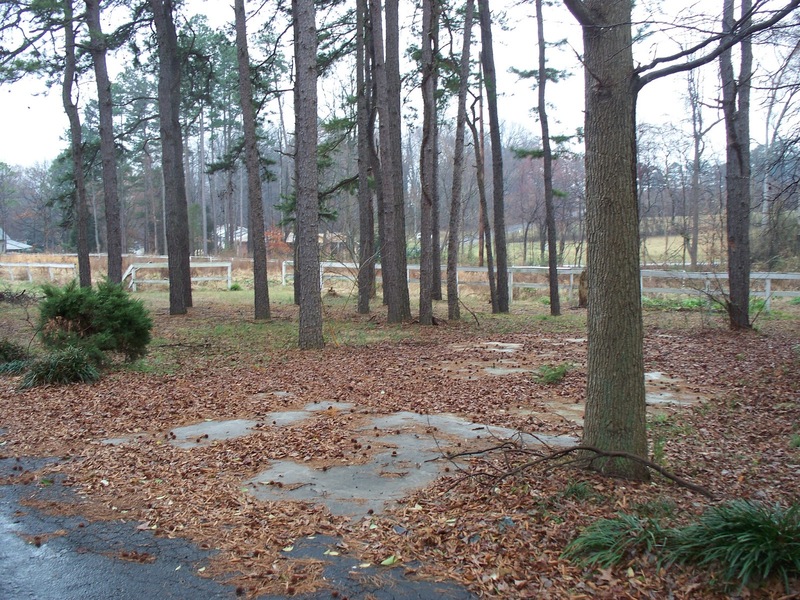 The property itself, a two-parcel piece, is nearly 400 feet deep and 250 feet wide. 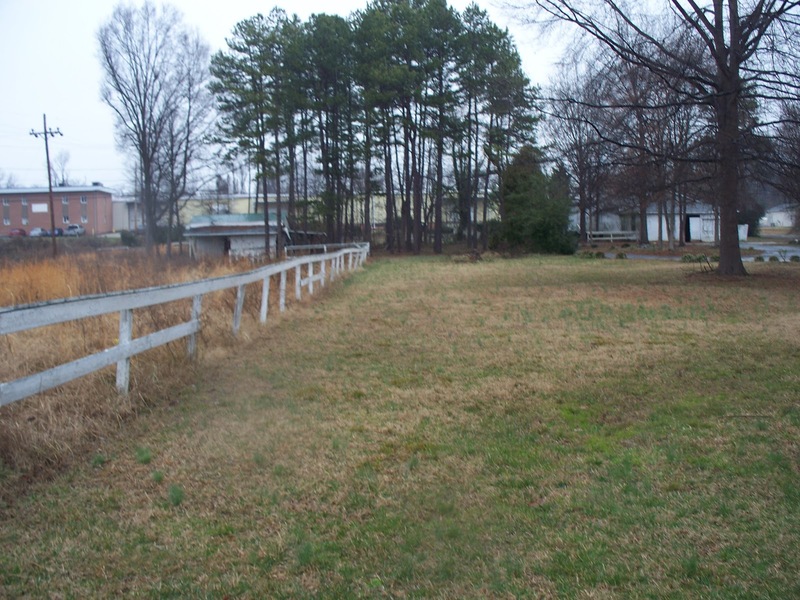 The pasture fence overlaps onto a vacant lot next door that measures approximately 100' x 400'. 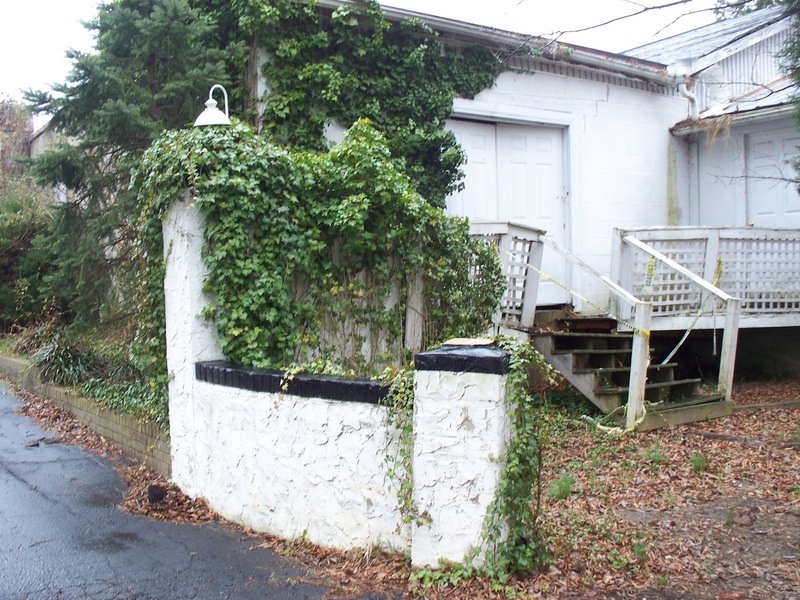 The owner of this adjoining lot may consider selling to the potential buyer of 1401 N. Long Street. Because of the condition of the buildings here, bank financing will not be available. 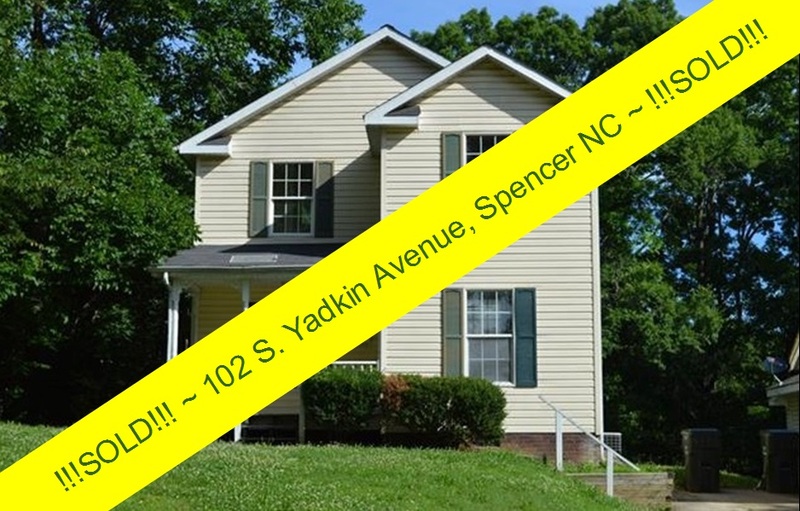 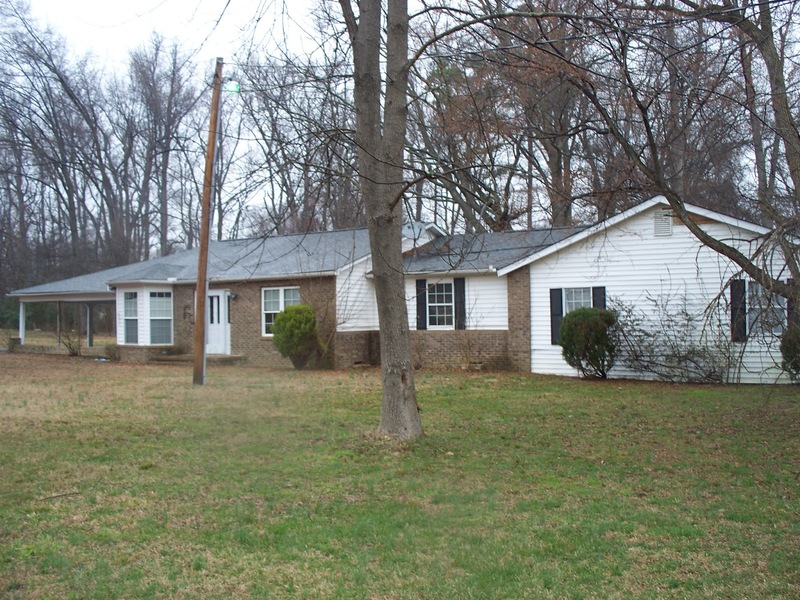 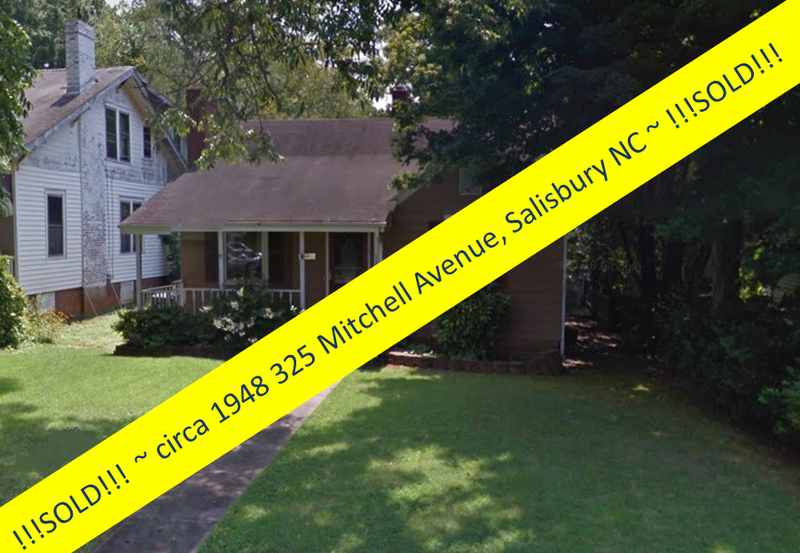 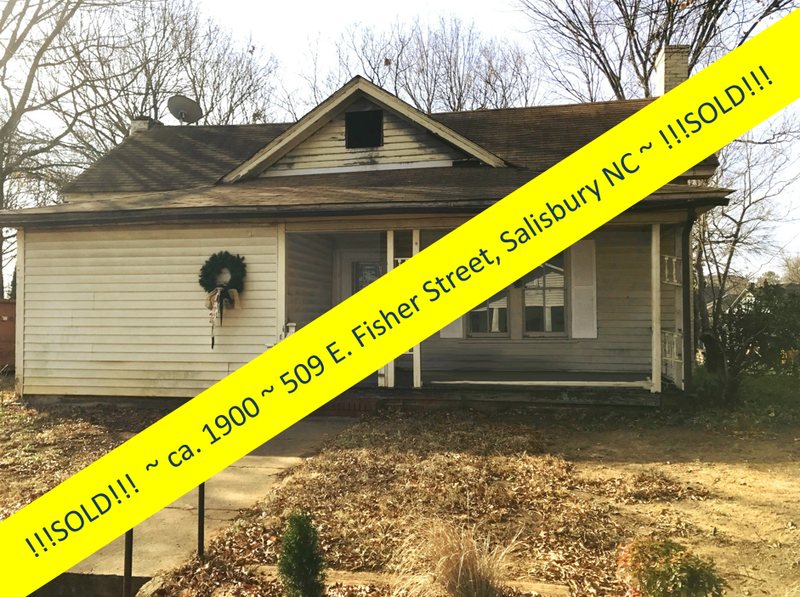 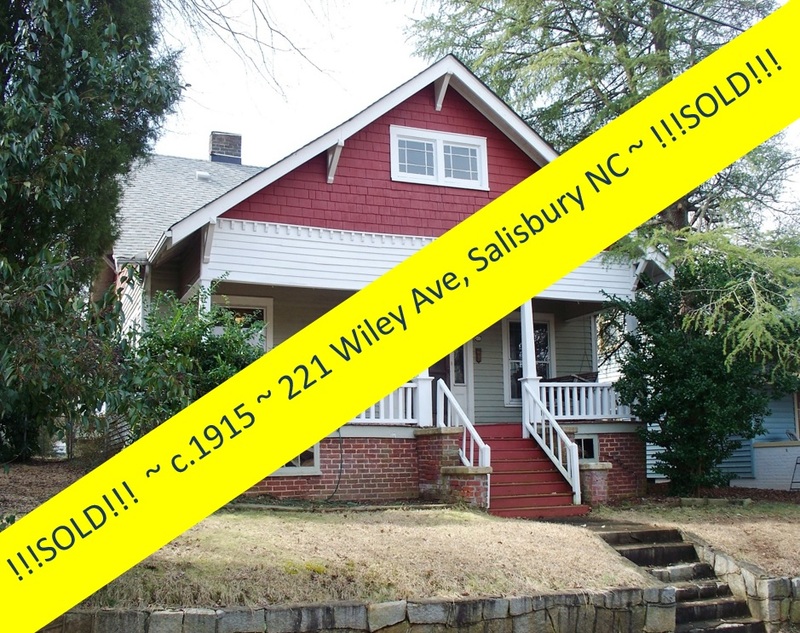 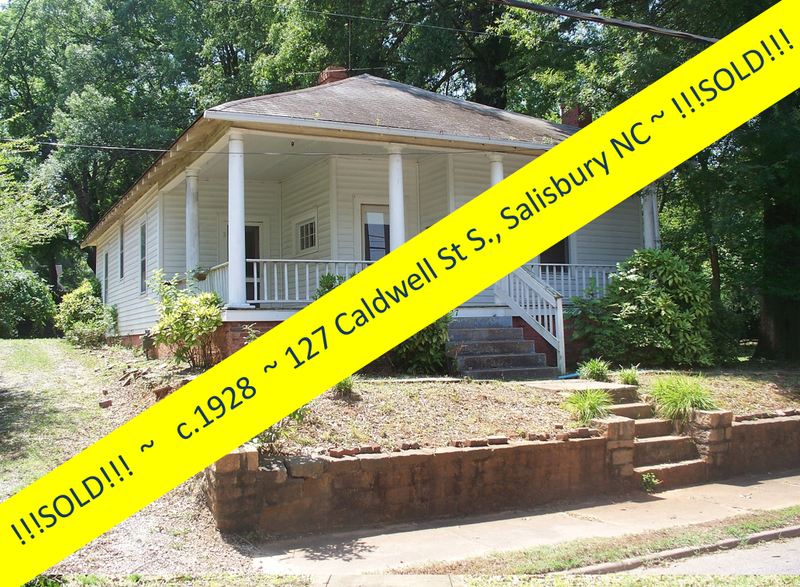 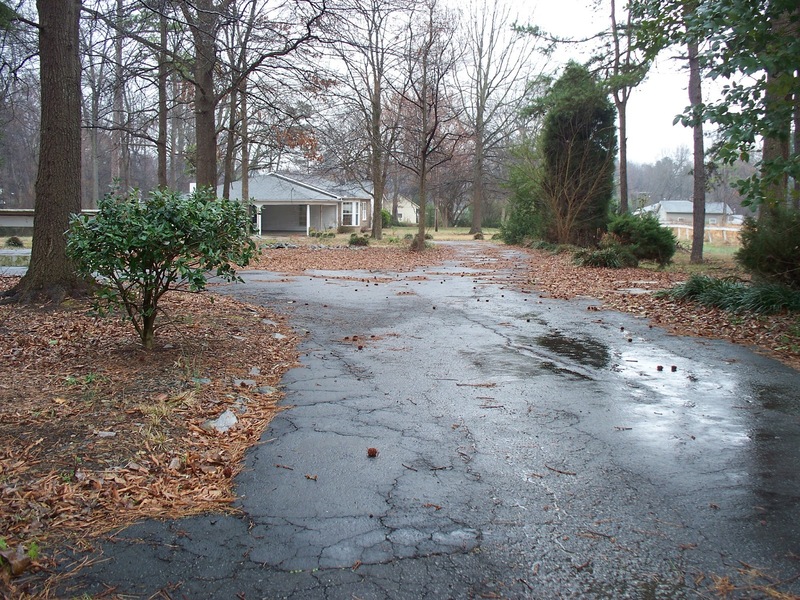 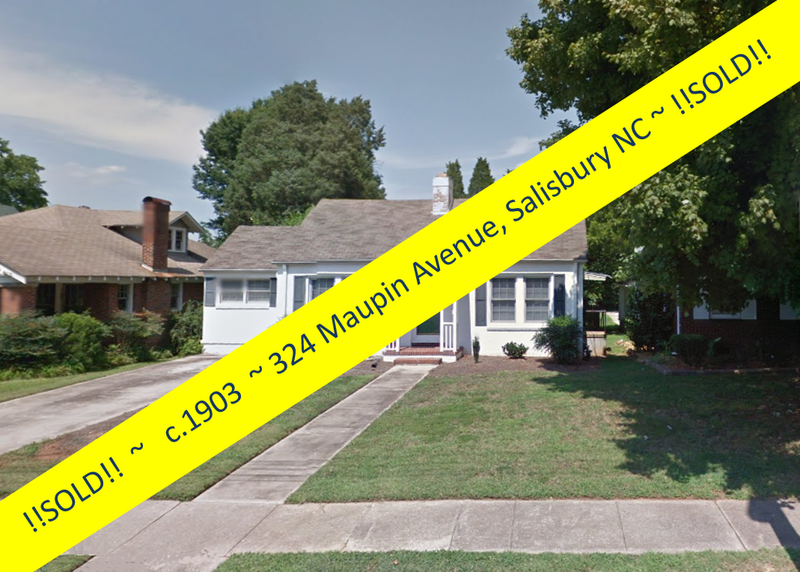 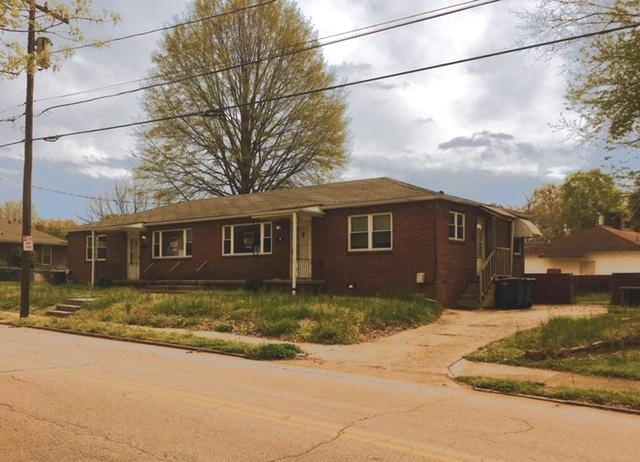 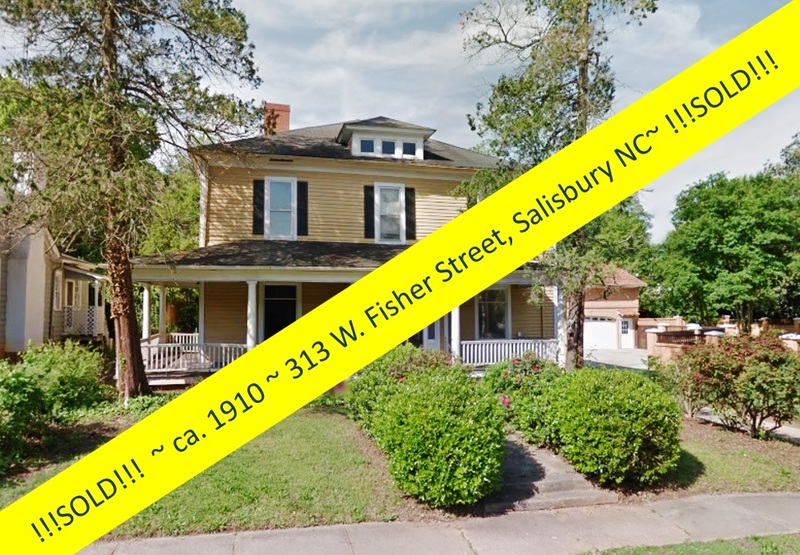 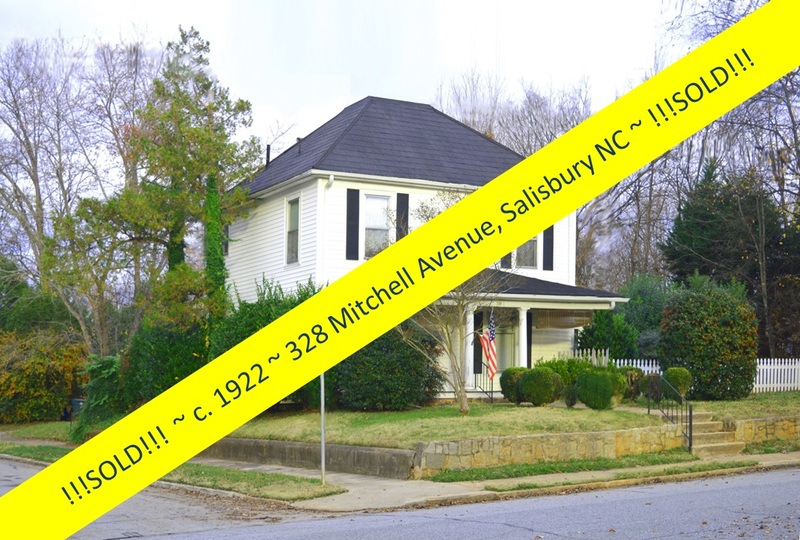 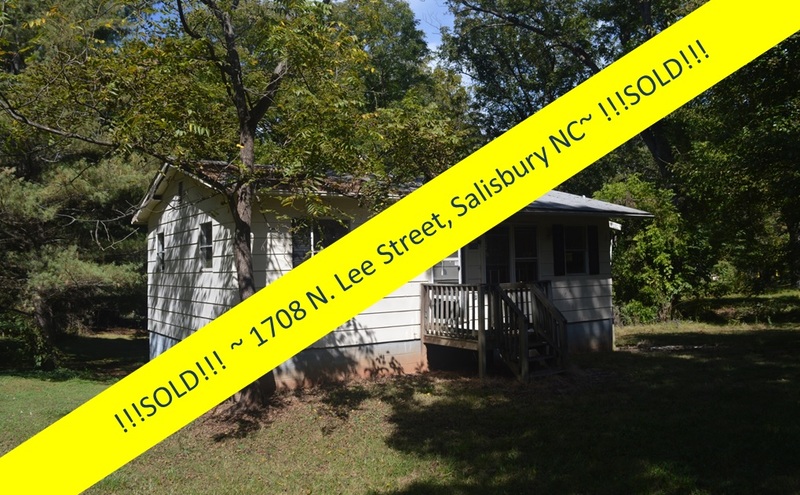 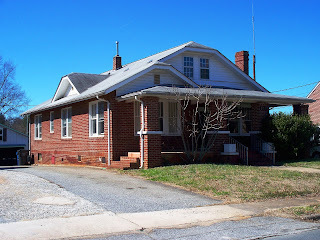 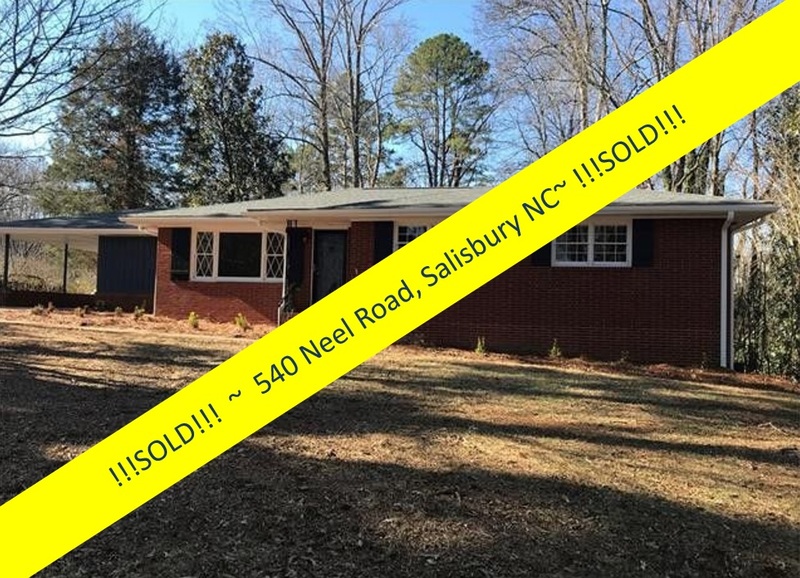 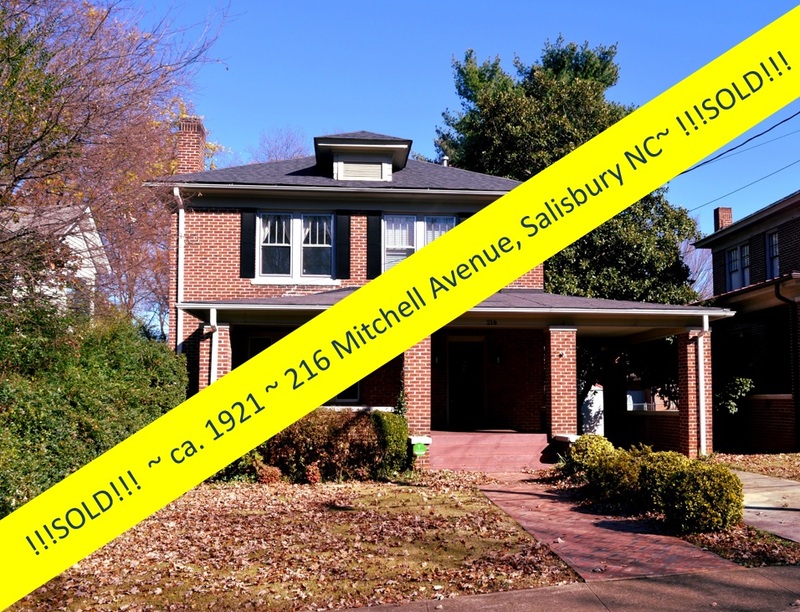 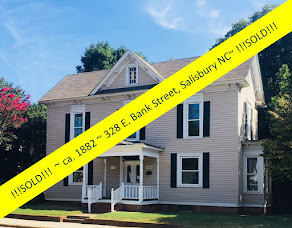 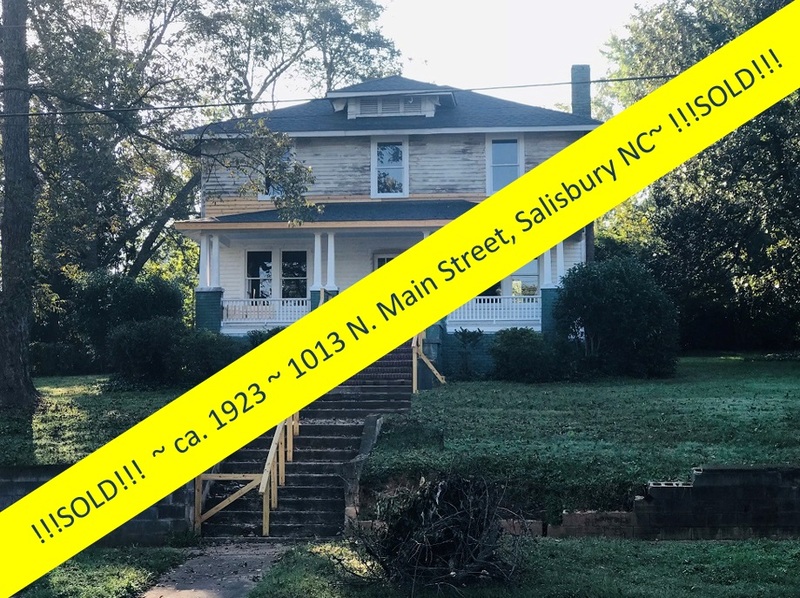 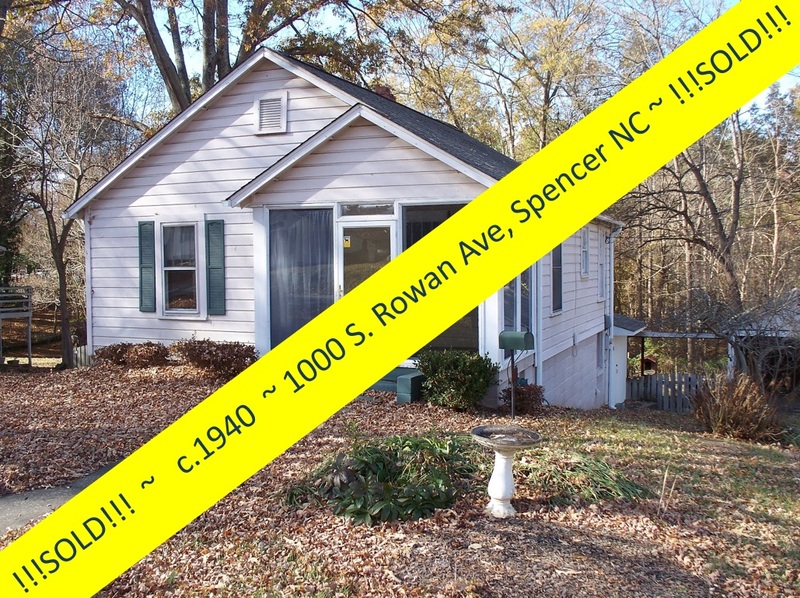 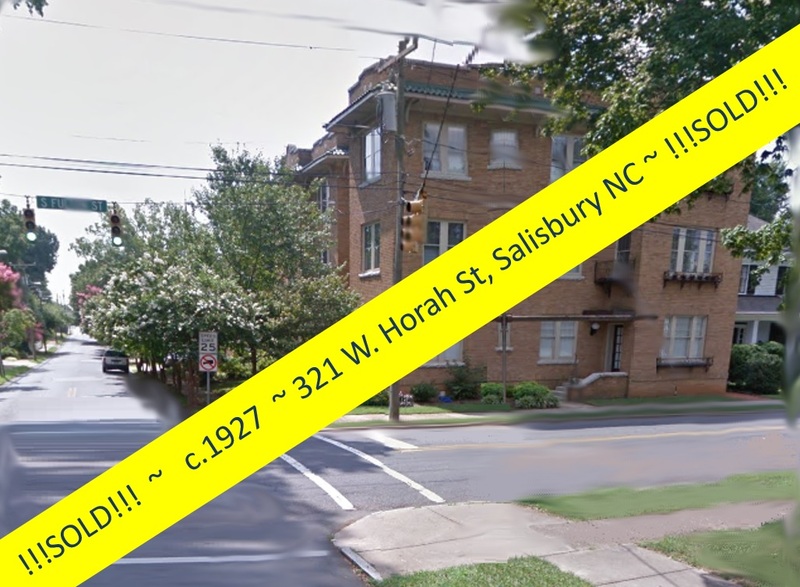 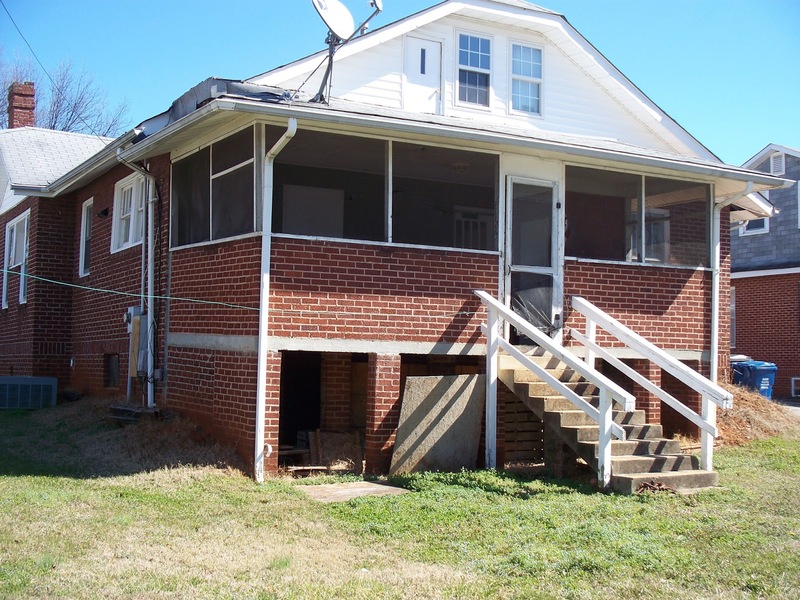 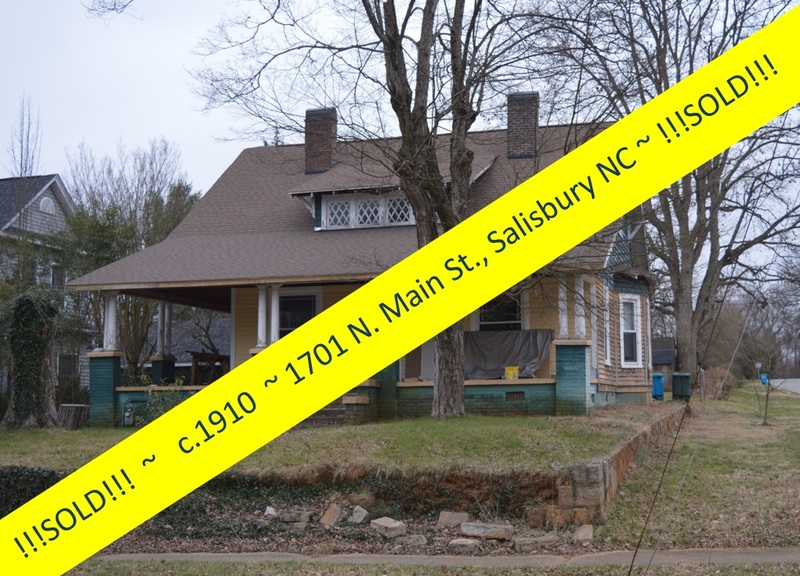 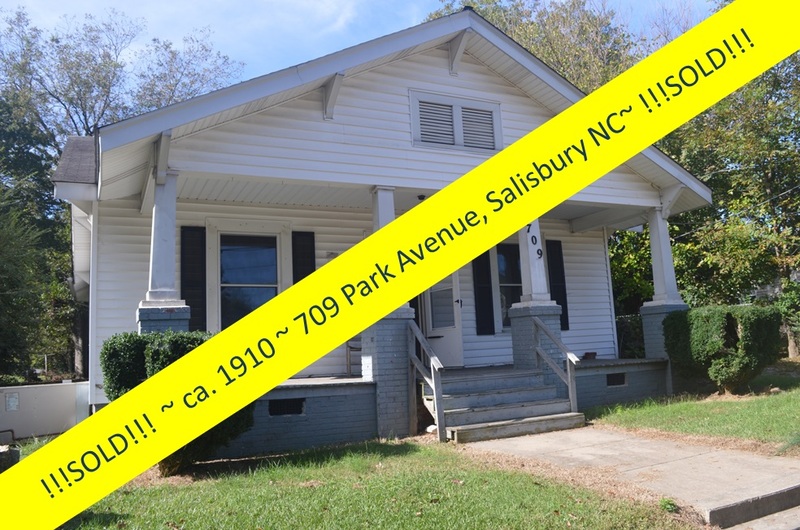 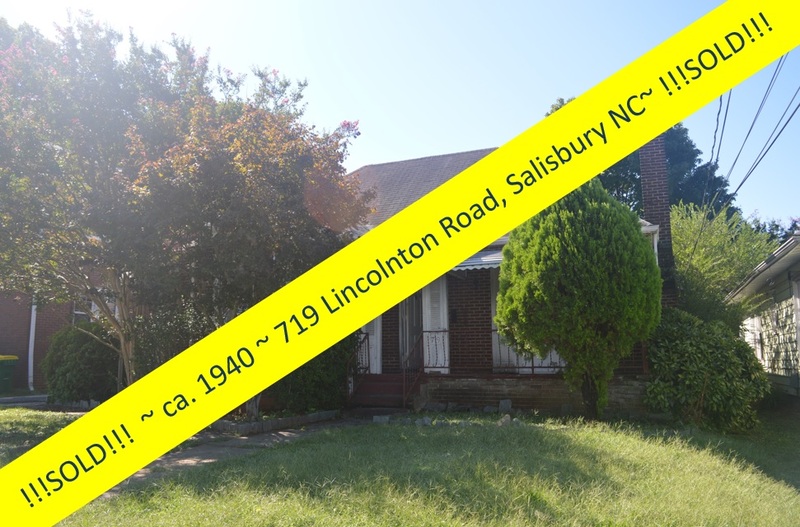 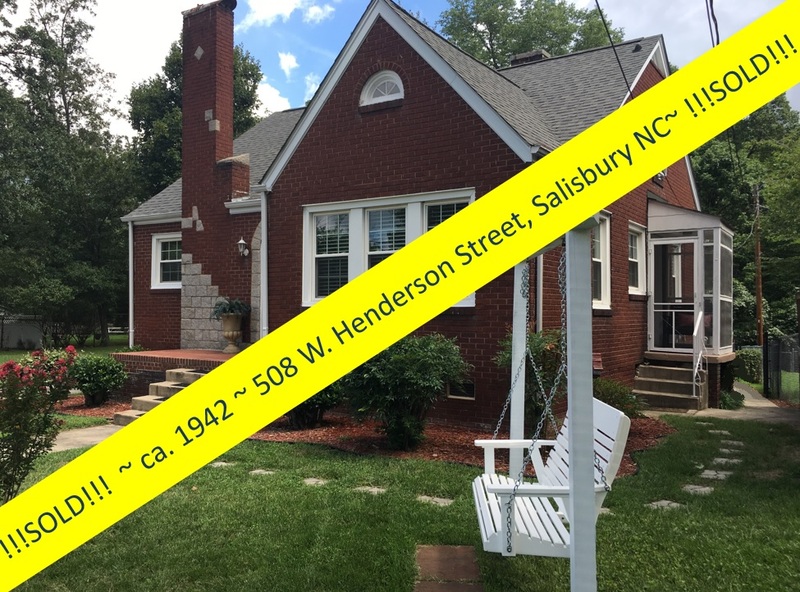 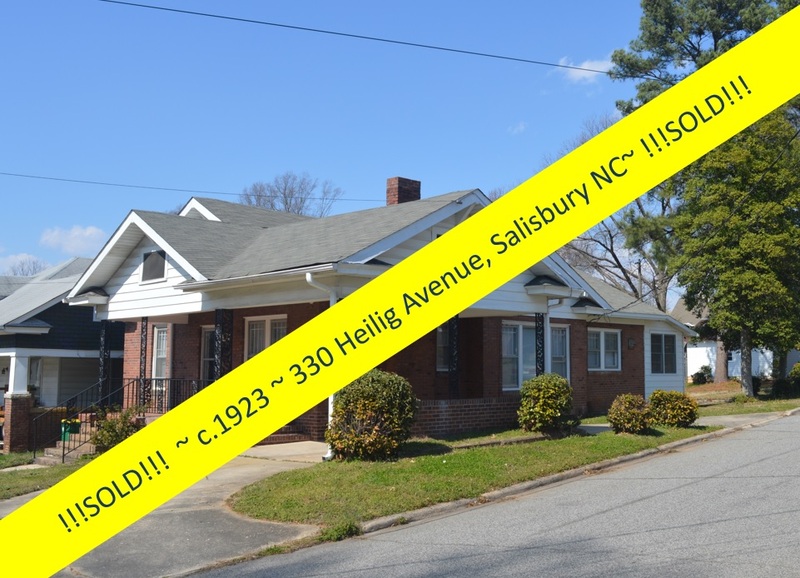 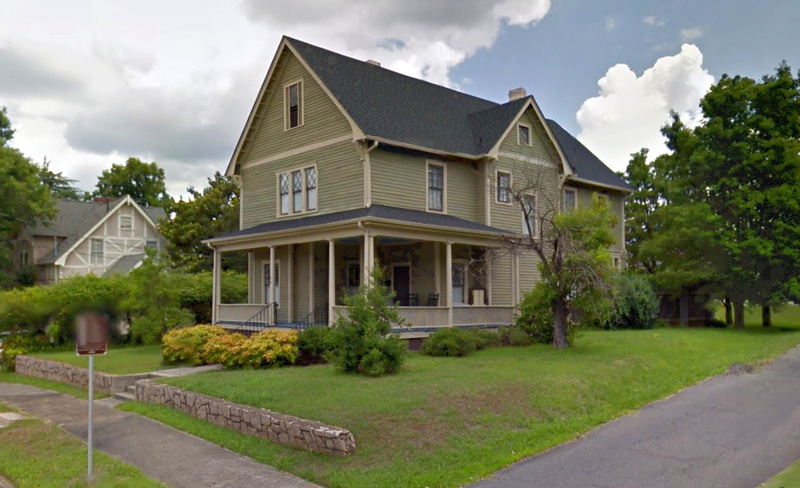 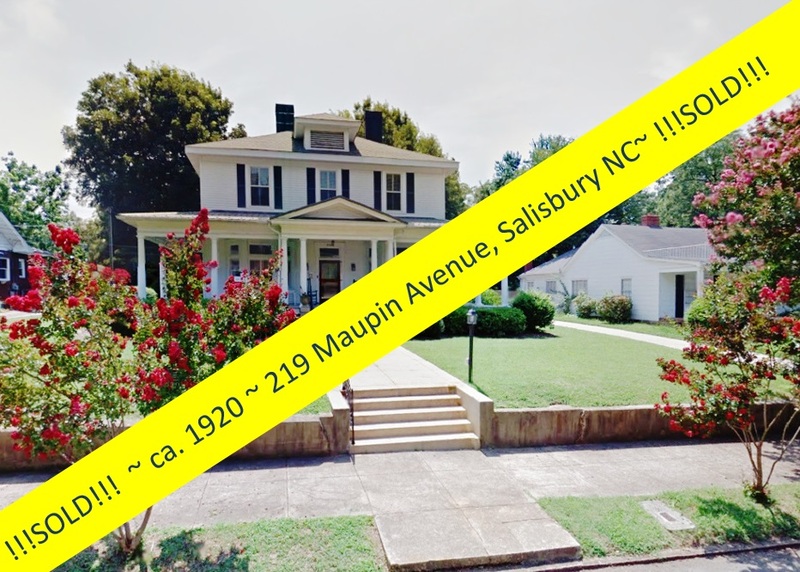 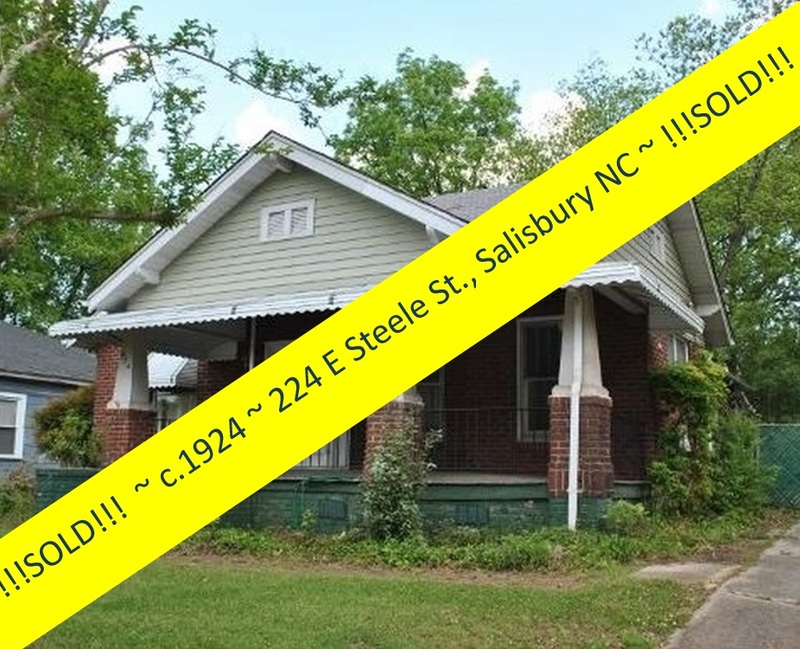 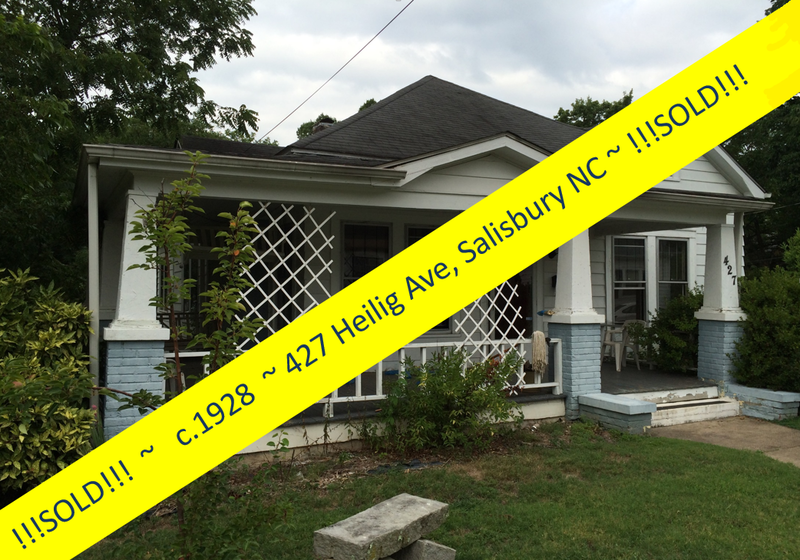 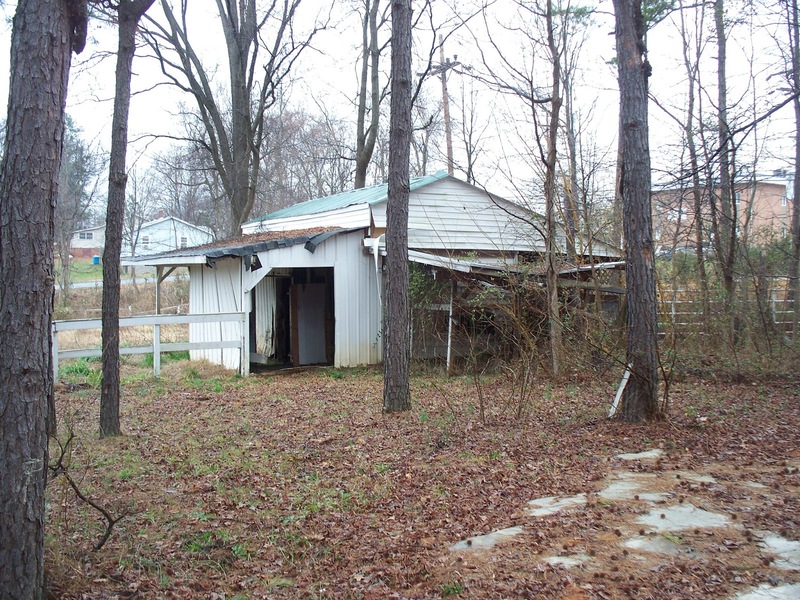 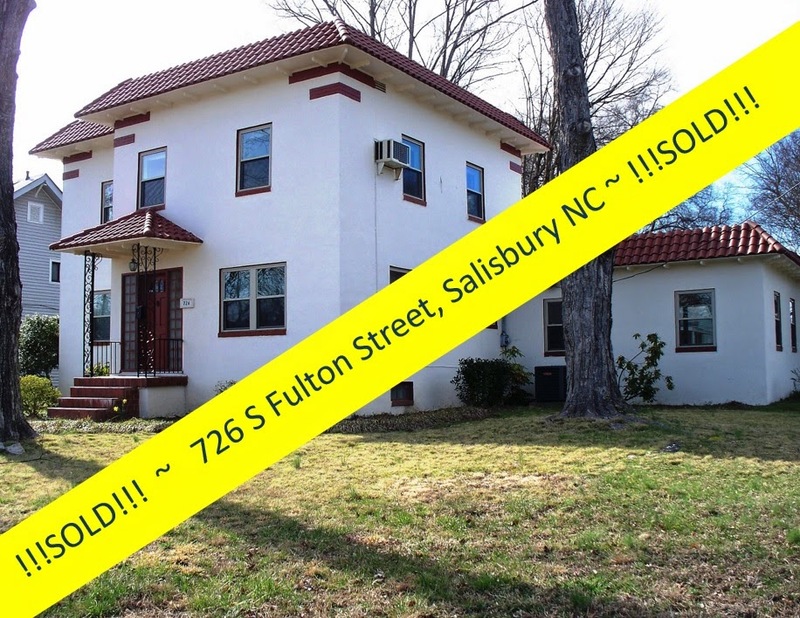 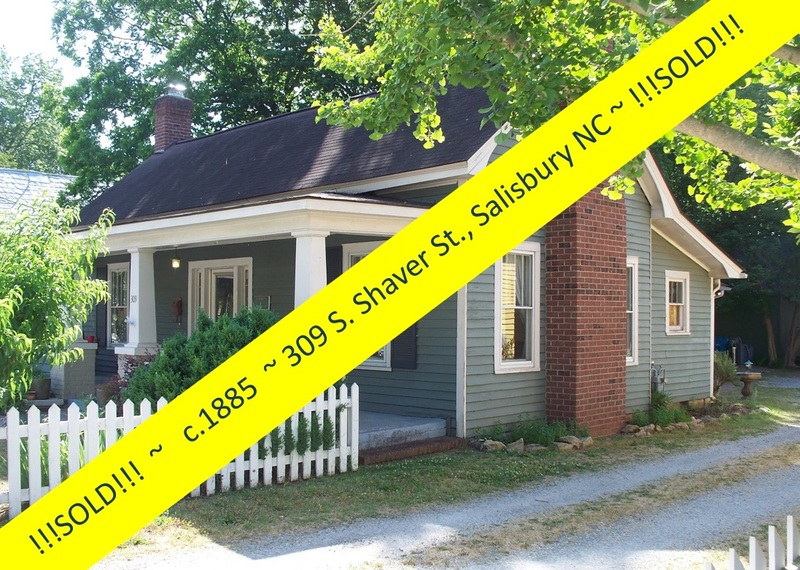 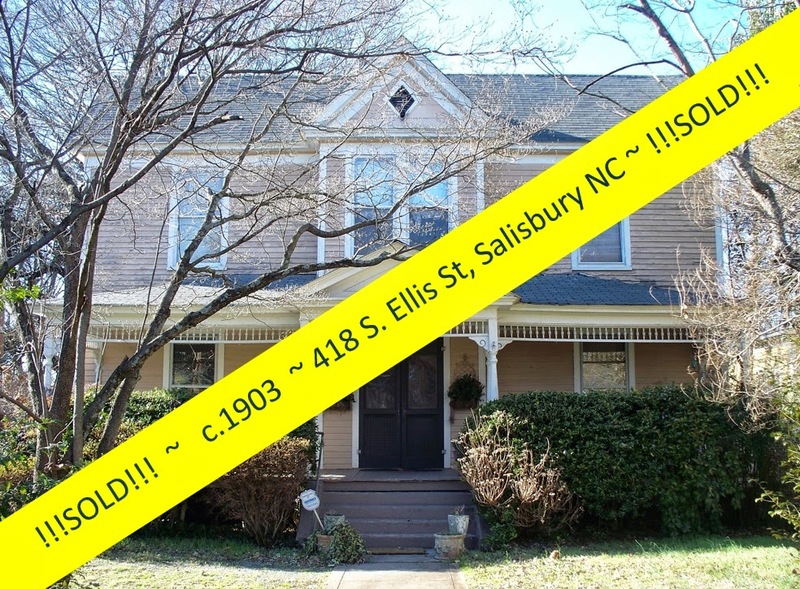 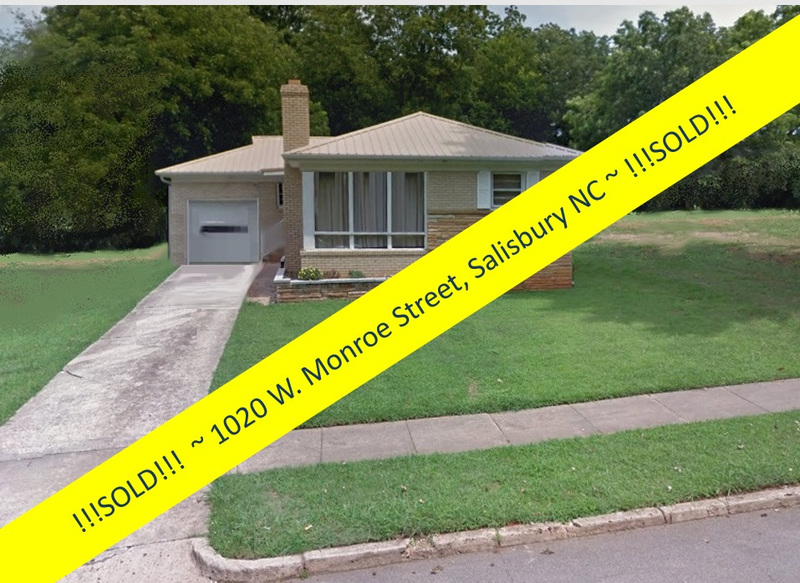 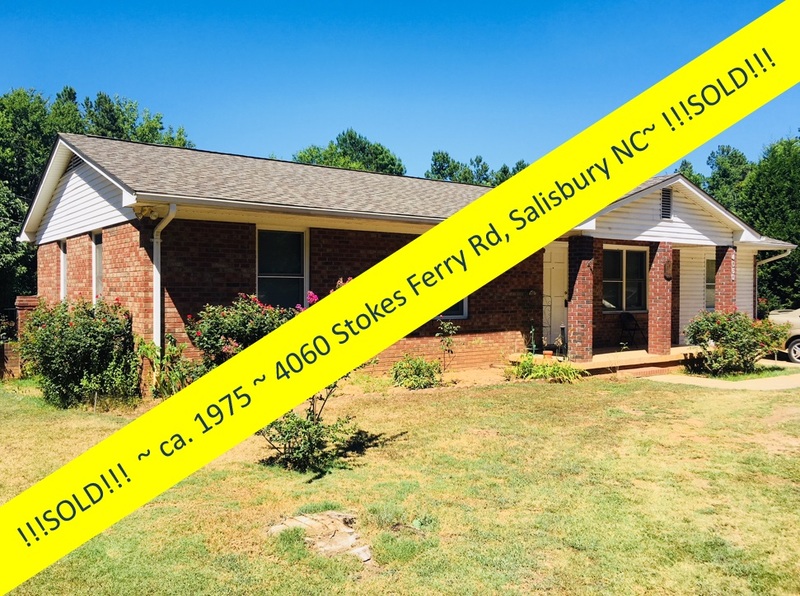 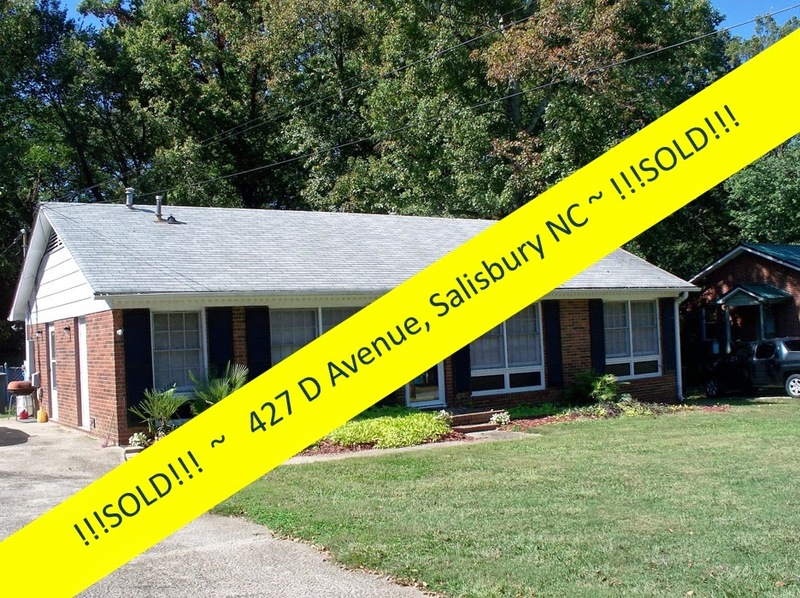 However, at $69,000 for this large spread of property in Salisbury NC is priced to move, and priced to allow its new owner budget-room for improvements. 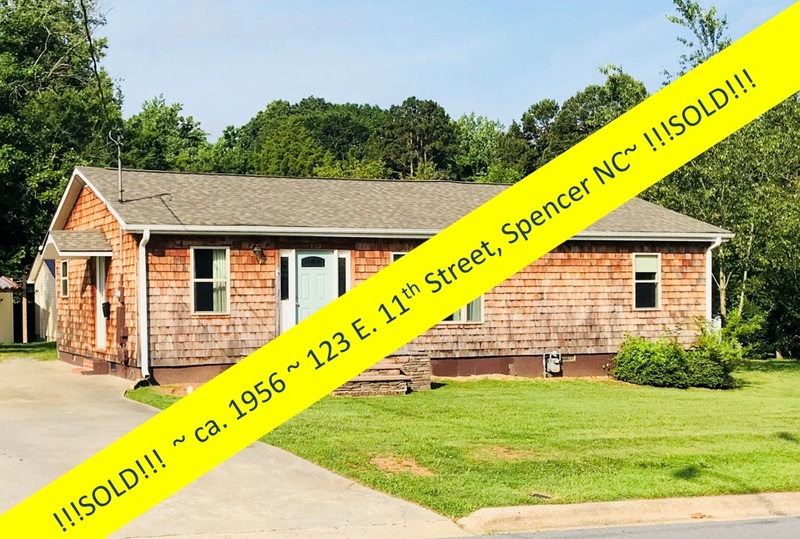 Let Greg Rapp take you on a tour of this property so you can see for yourself the potentially many uses that these buildings could serve. 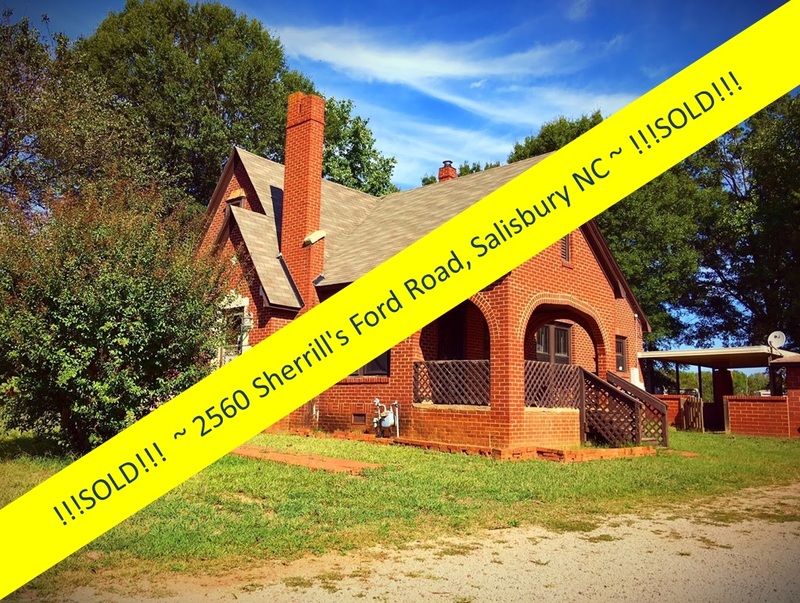 So what's stopping you? 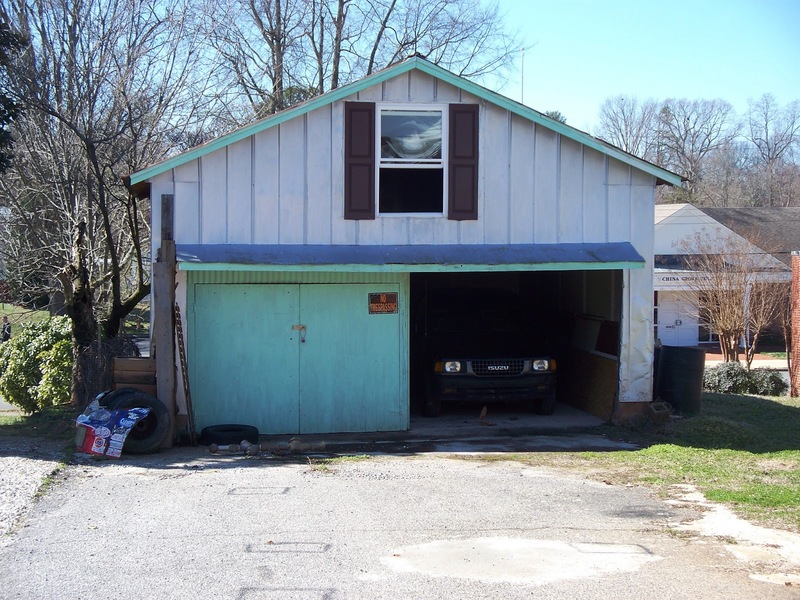 You could be the next bar owner, a garage business, microbrew-meister ~ or just store your boats storage . . .at 1401 N Long Street. 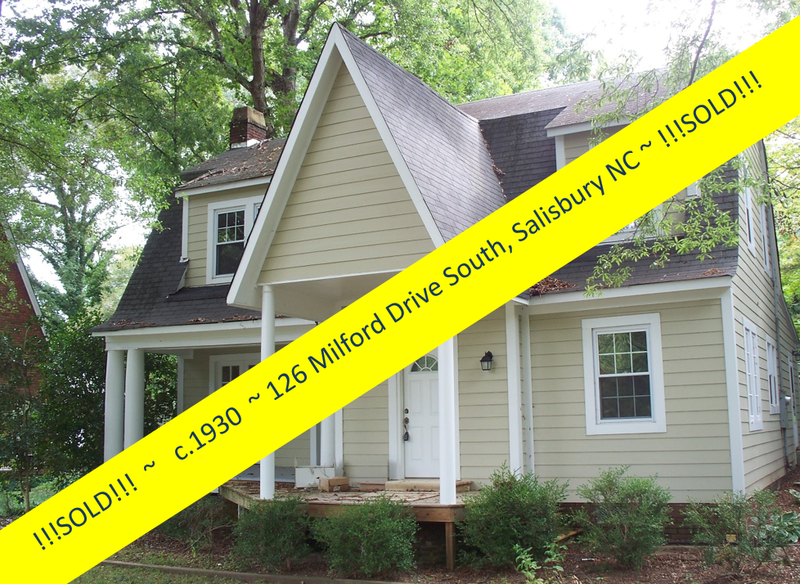 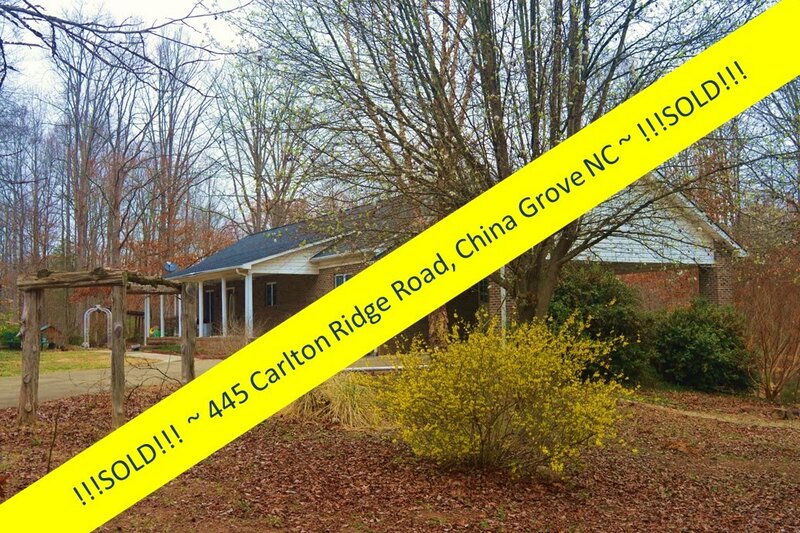 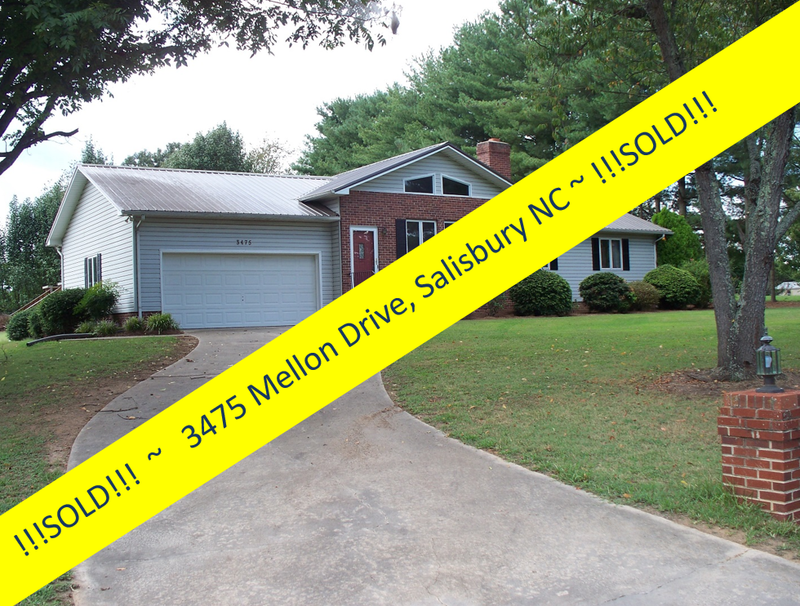 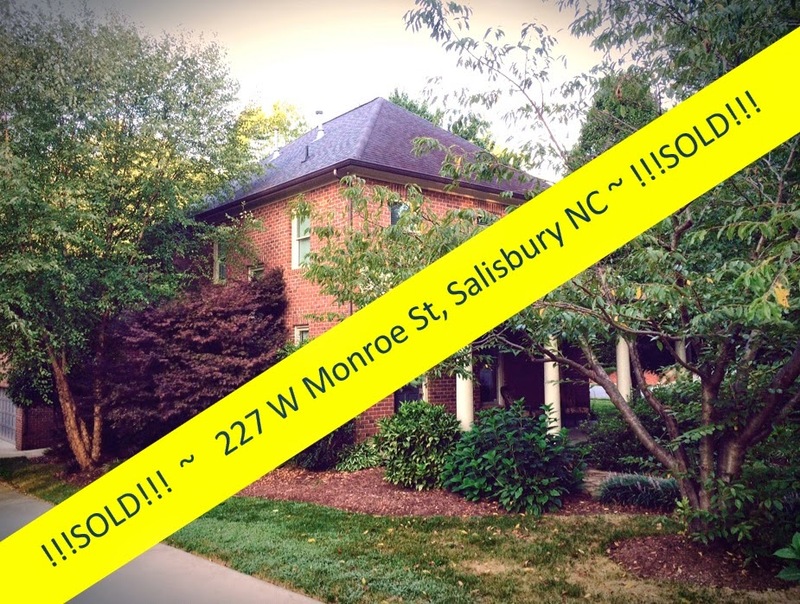 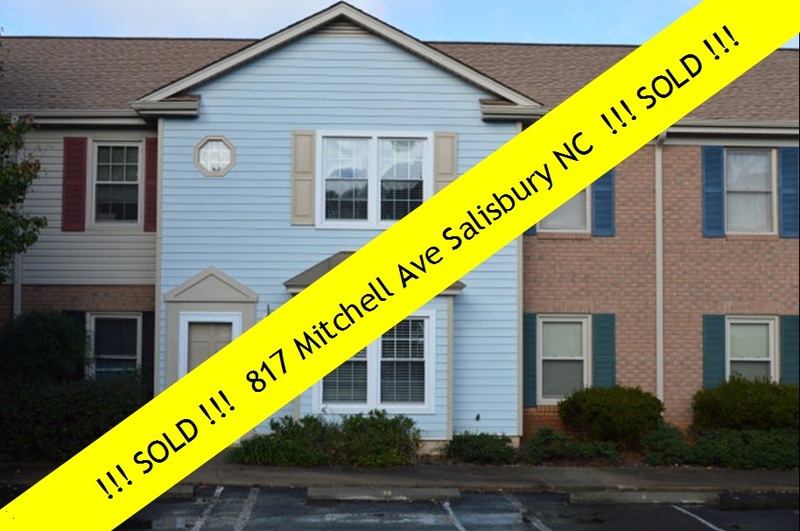 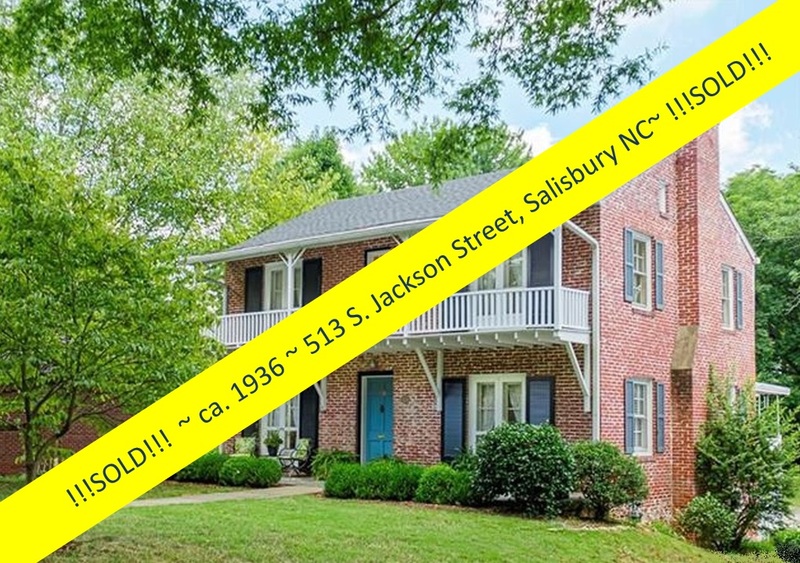 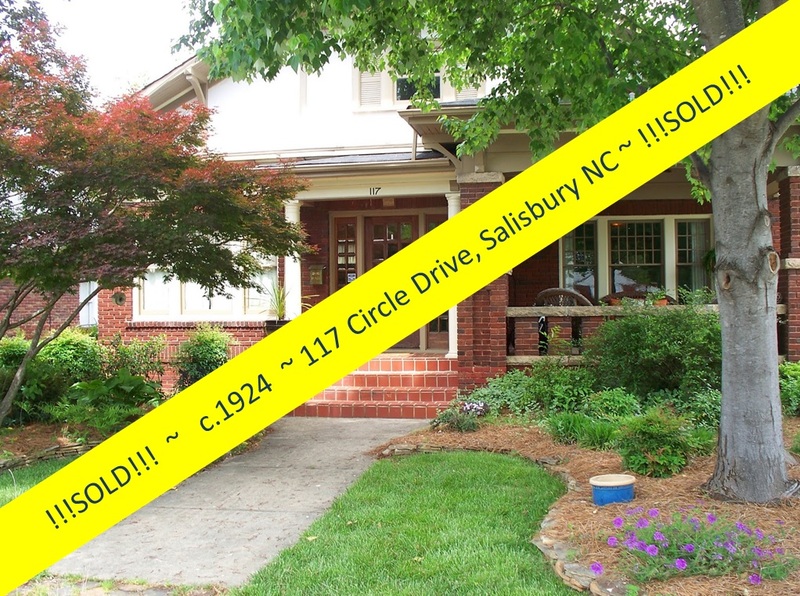 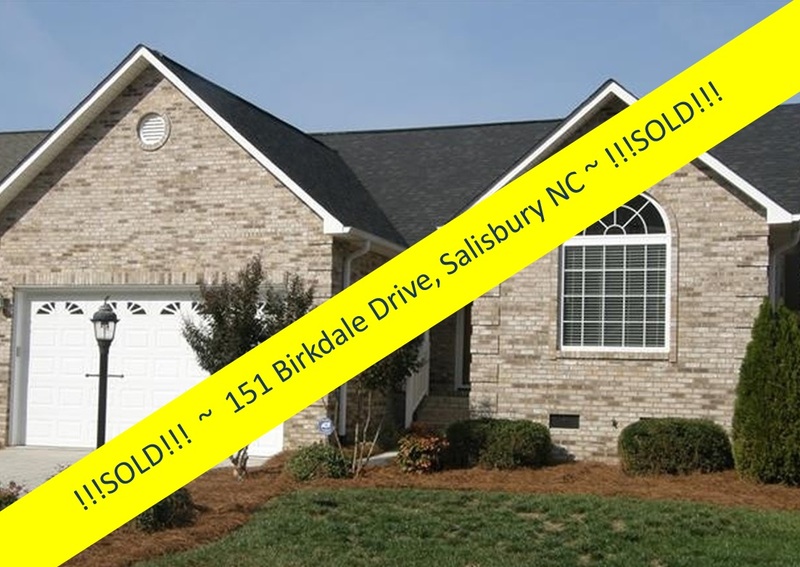 Call Salisbury Realtor Greg today at 704.213.6846. 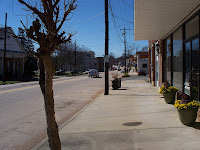 Get your vision on! 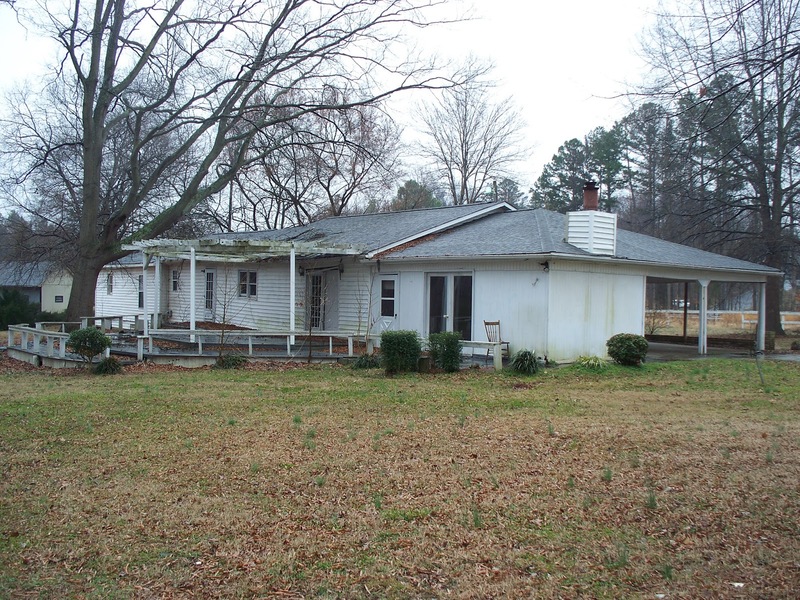 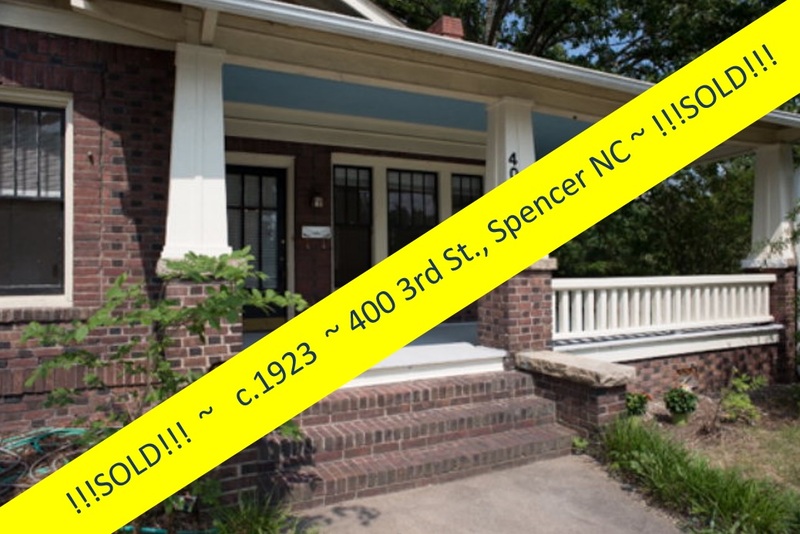 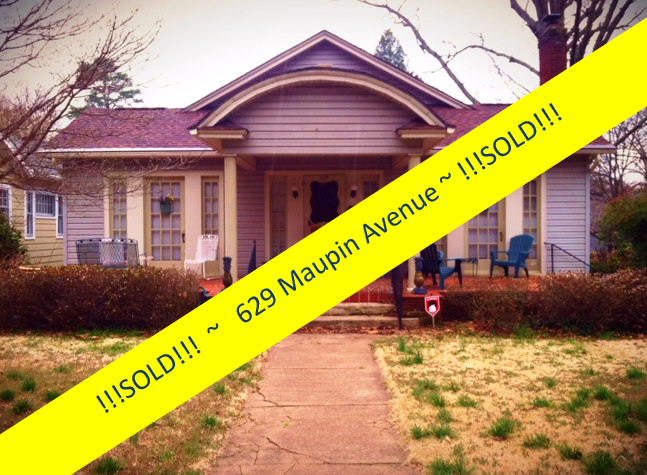 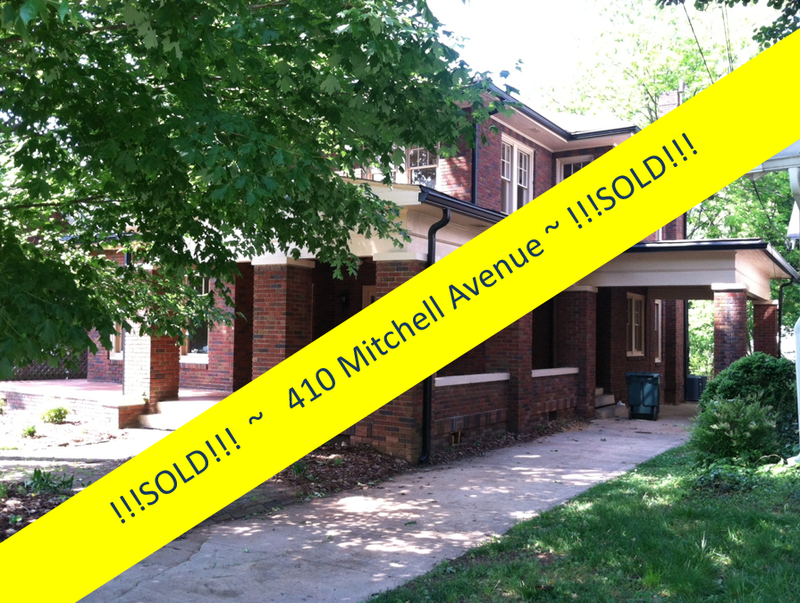 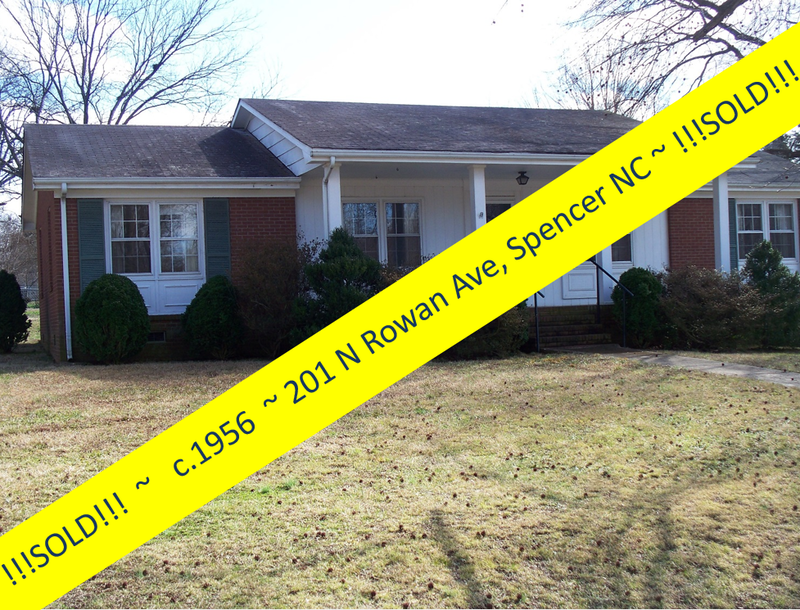 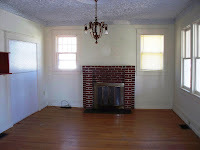 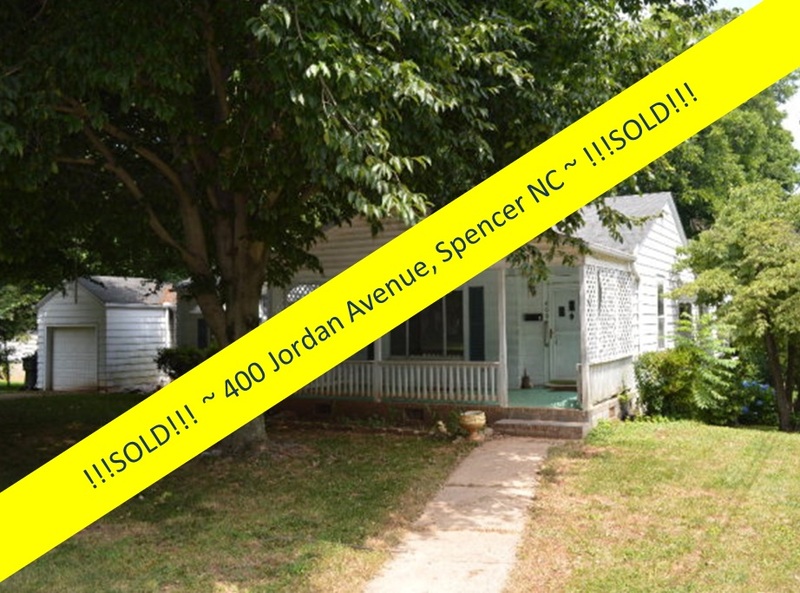 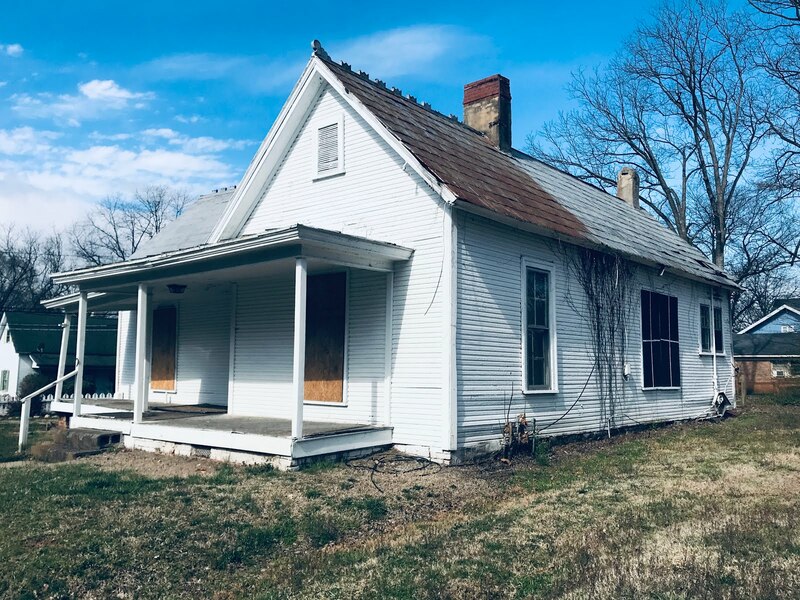 This property is a blank canvas waiting for the right buyer to mold its future to a reality!